How do I introduce myself? I have been touched by Goodness and Love in such a manner that I know that I have been touched by God. I spend every day trying to enjoy the glory and beauty of life. 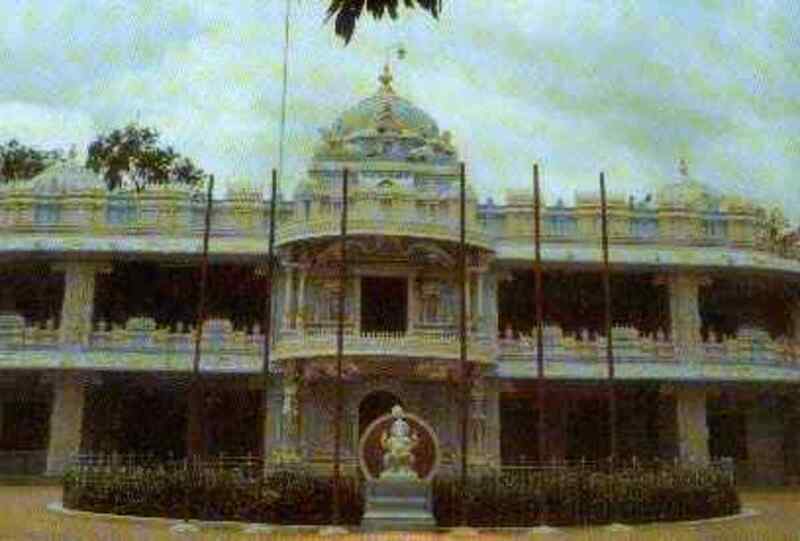 I am here on HubPages to primarily share a lifetime of experiences with my Master, Best Friend, Guide and God, Bhagawan Sri Sathya Sai Baba. 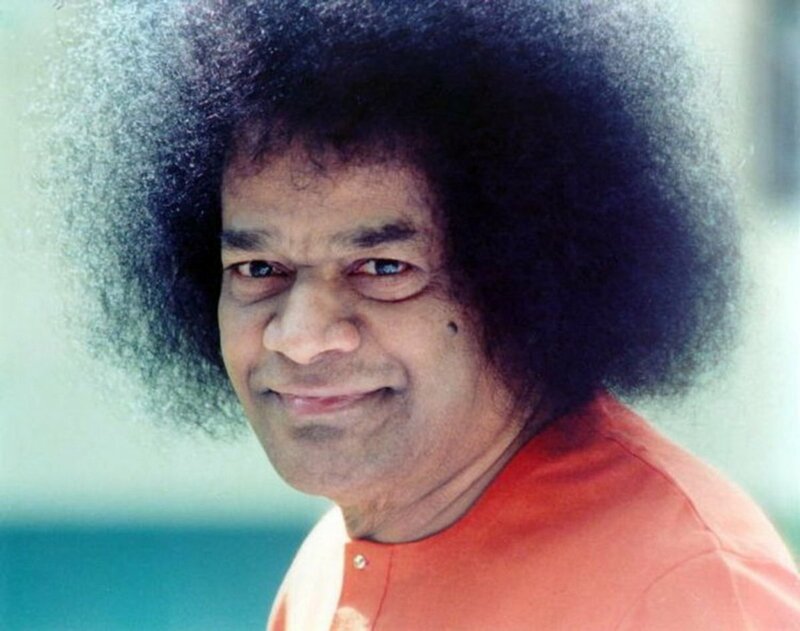 Whenever the question of Namasmarana or contemplation on the Lord's name comes up, I am always reminded of these three stories from Sri Sathya Sai Baba. They are inspiring and humorous. God-bashing or blatantly criticizing God is not something new. 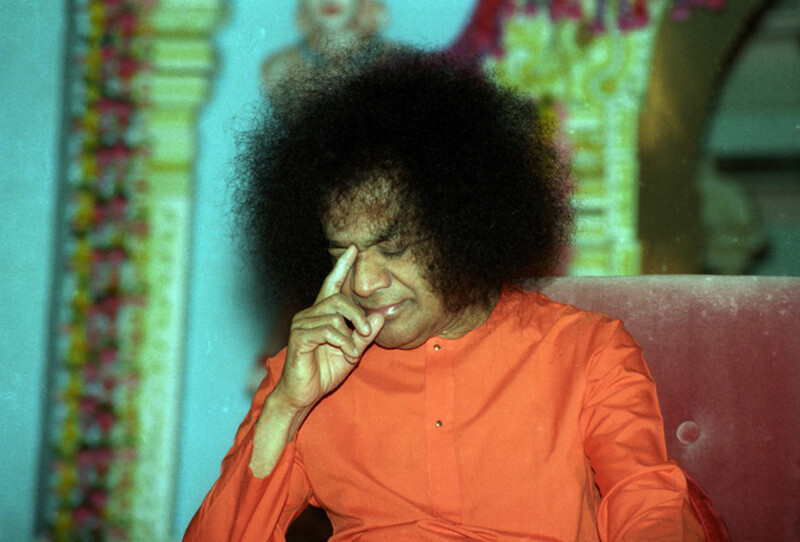 The one thing a devotee does not understand is why a critic does not leave him/her alone. 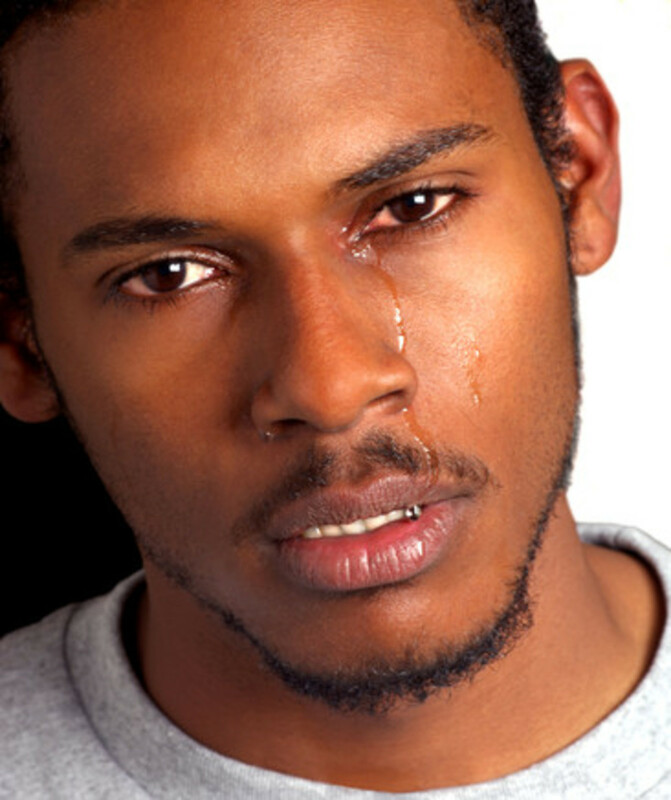 Why cause pain by abusing and criticizing God? 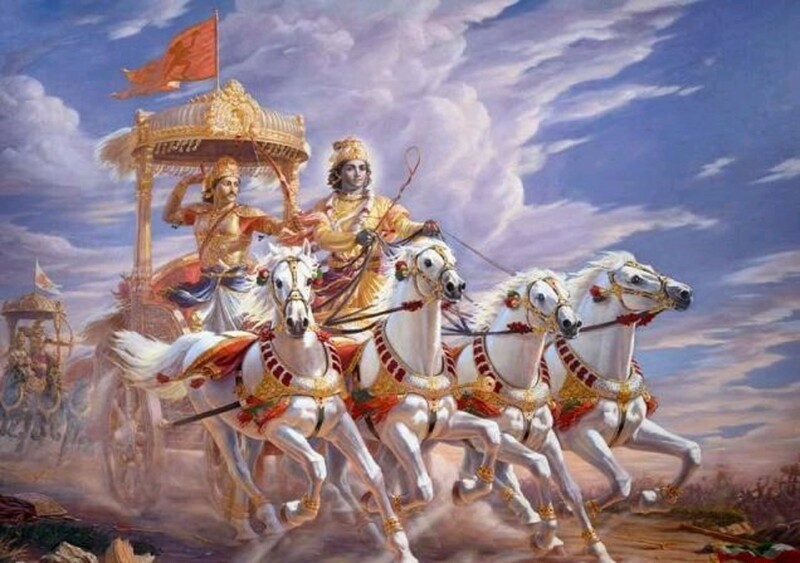 A beautiful episode from the Mahabharata, the great epic, provides succor, solace and a solution for the devotees. 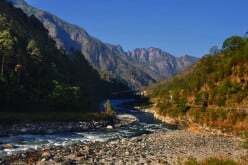 Gangotri is a town in the Uttarkashi district of Uttarakhand in India - the birthplace of the holiest river, Ganga or Ganges. 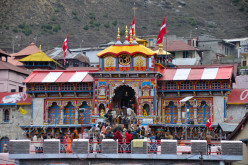 Gangotri will thrill and please the body, mind and spirit of any visitor. 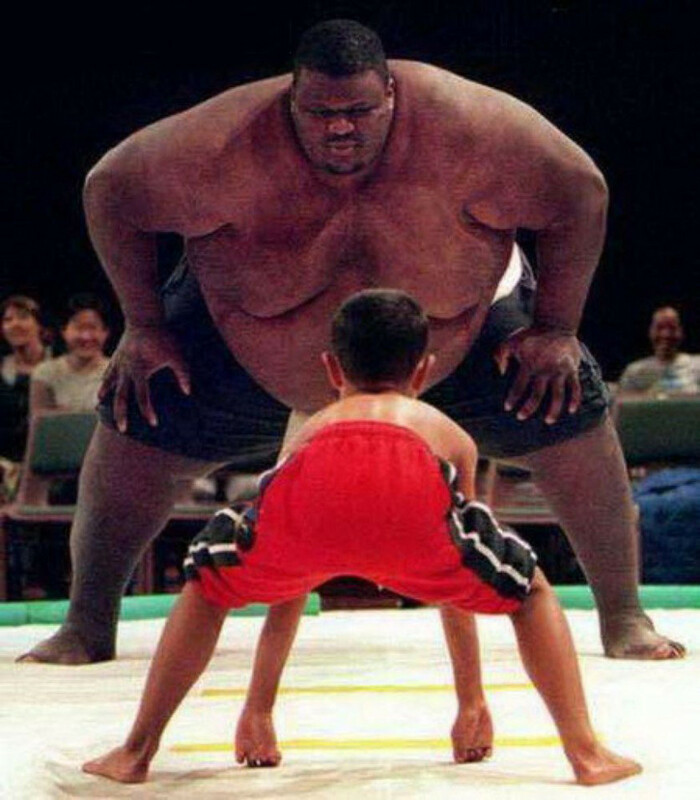 Why have we been given 'weaknesses'? 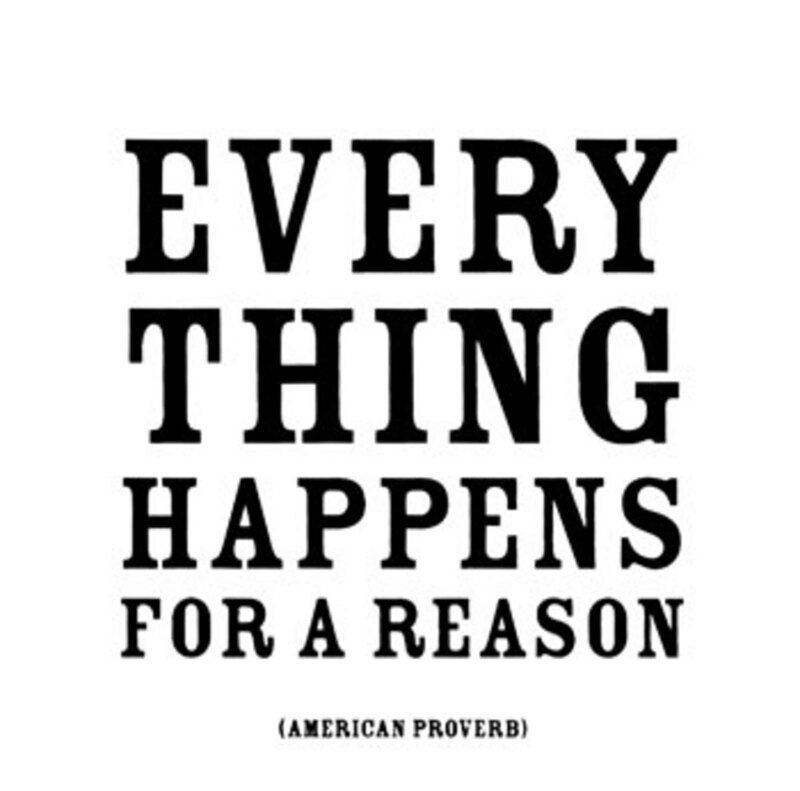 There is a reason for everything in the Universe. 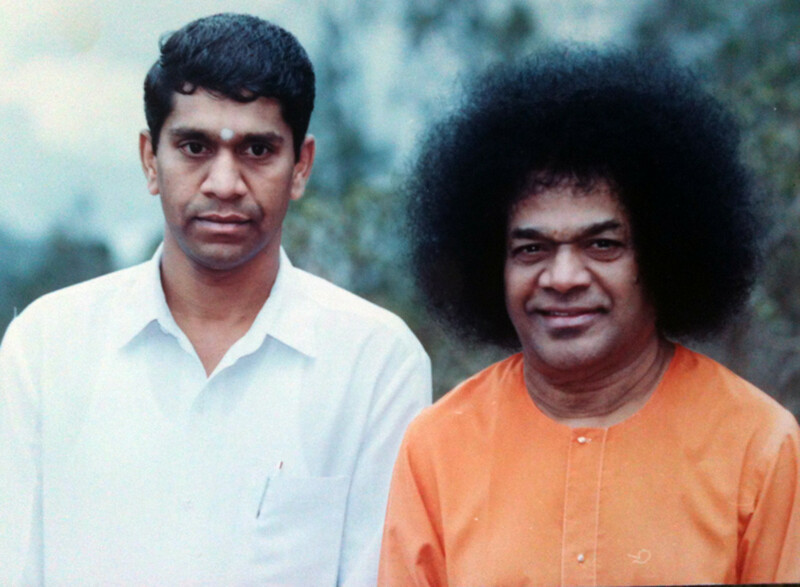 Here is a short martial arts story and my experience with Sri Sathya Sai regarding strengths and weaknesses. 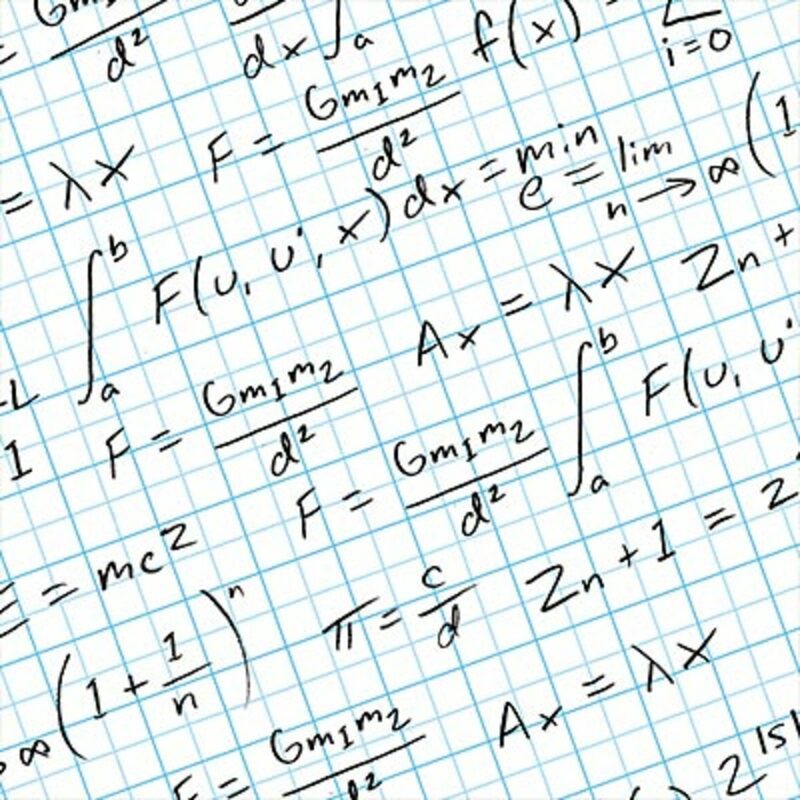 The complex problems in life have an elegantly simple solution. But the question is - Are we ready to accept the simple solution? 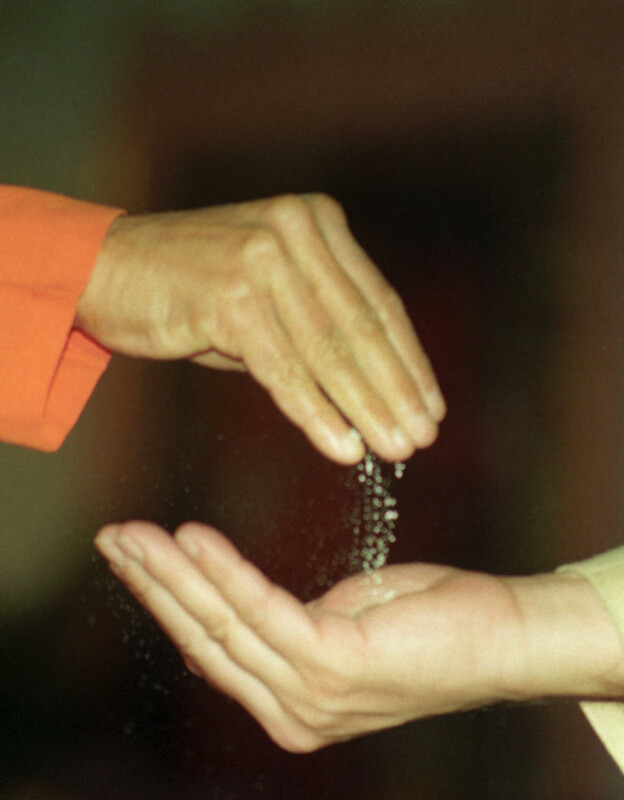 Sri Sathya Sai Baba offers this simple solution to all - Namasmarana. 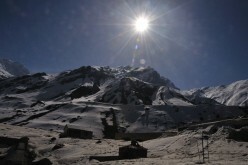 What is Narayan Seva and how must it be done? 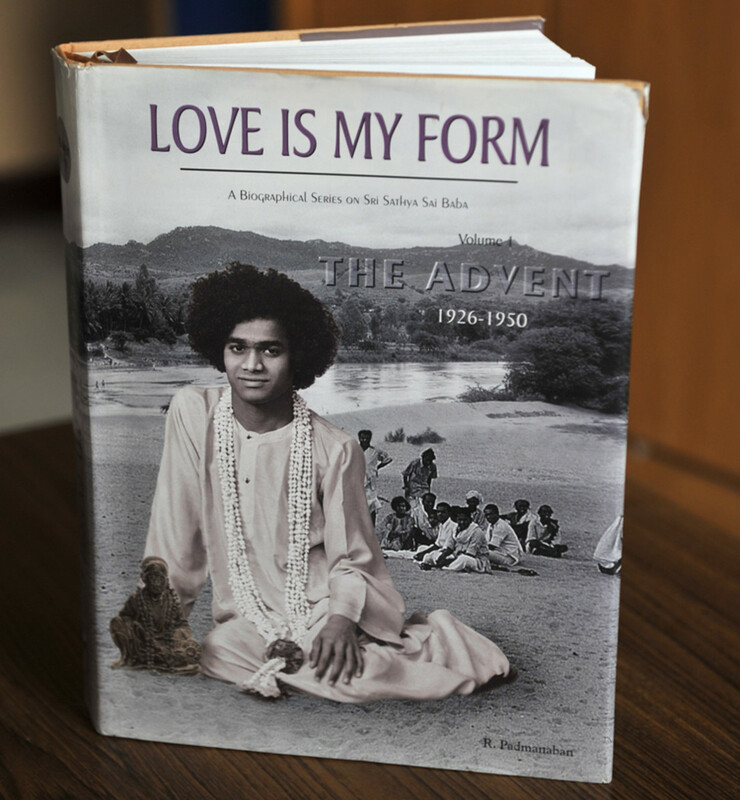 A magnum opus of a book for all those thirsting to 'see' the early life of Bhagawan Sri Sathya Sai Baba. This is a book-review of the classic - Love is My Form. "Baba is partial to some." 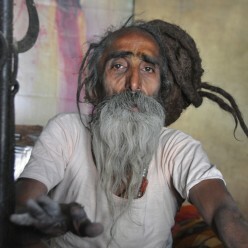 "I seem to get no divine experiences." "I pine for God but He does not respond to me." 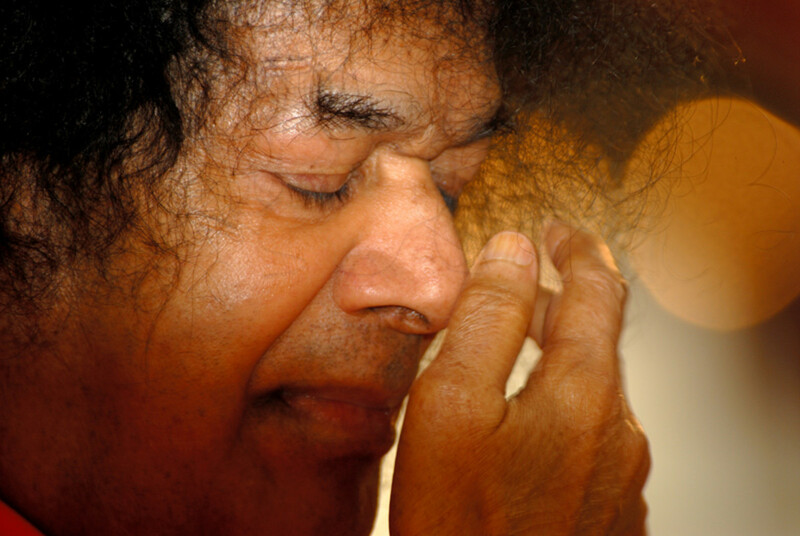 Here are some answers based on experiences with Sri Sathya Sai and His sayings. 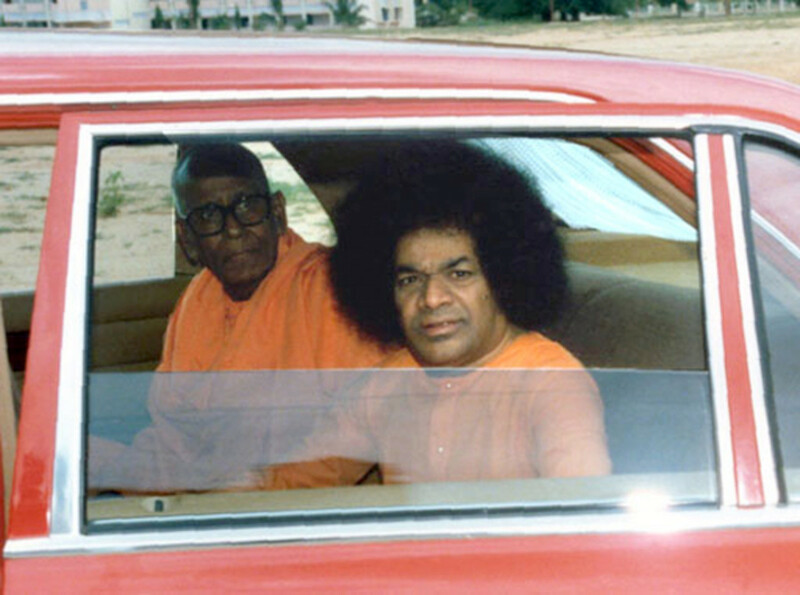 Humor has been one vital essential in the daily interactions of Sri Sathya Sai Baba, my Master and God. 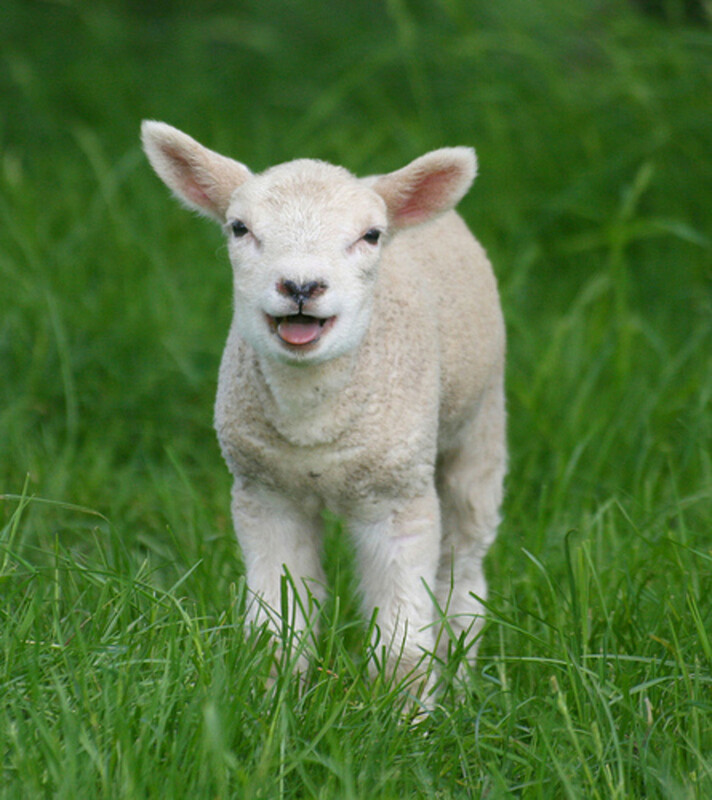 Here are three rib-tickling, red-faced incidents that happened - one is a personal experience. 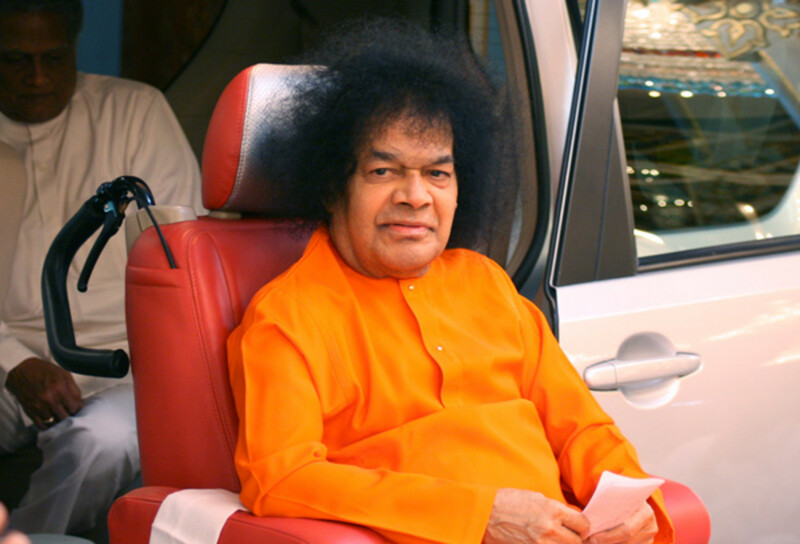 Love All Serve All; Help Ever Hurt Never - These simple dicta from Sri Sathya Sai have been translated into a huge service activity in a tiny country with life-changing impact on everyone involved. 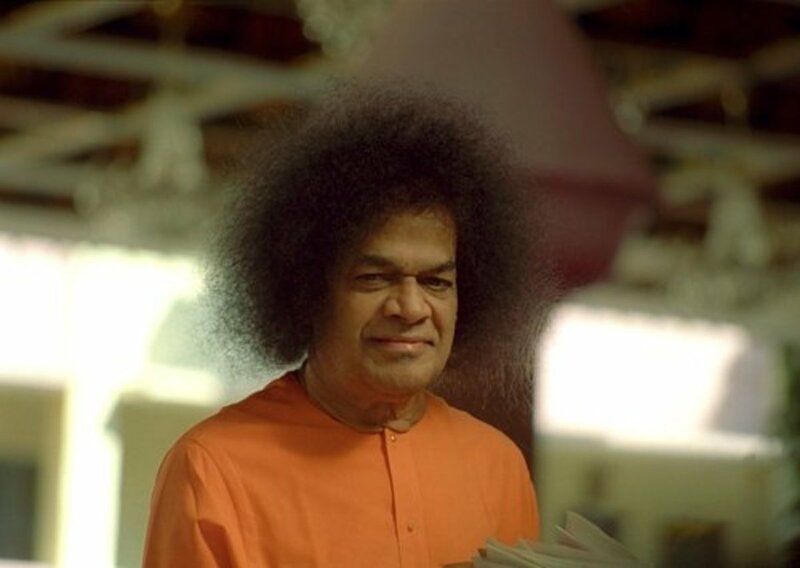 A small story of a small bird narrated to the small school boys in the interview room by Sri Sathya Sai Baba in 1995 teaches us an important lesson on how to weather the 'winds of change'. 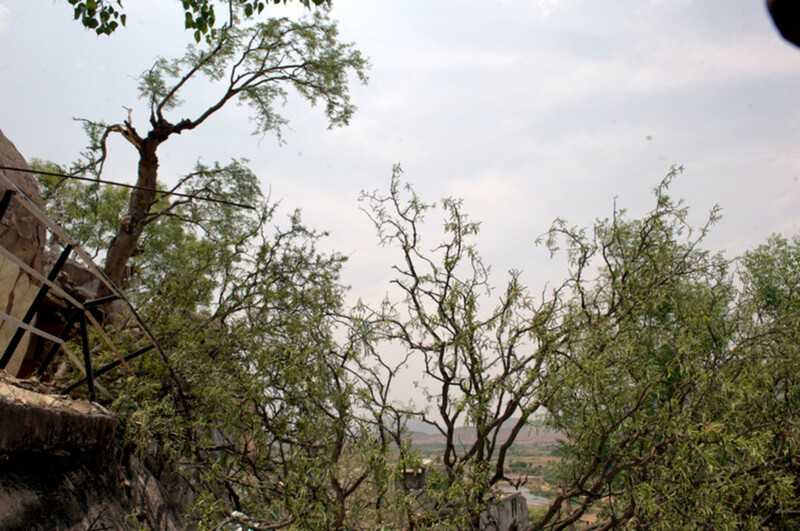 When a storm struck down the famous wish-fulfilling tree in Puttaparthi, it seemed like a great disaster. 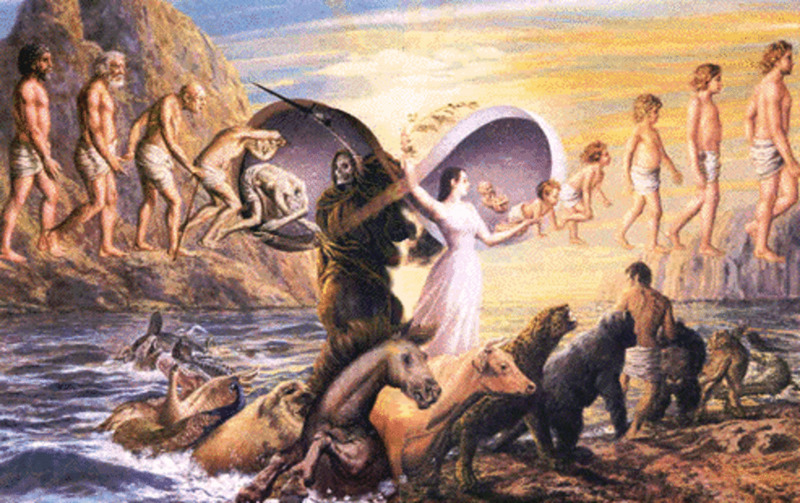 But even in its 'death' the Kalpavriksha had a powerful message on death and immortality. 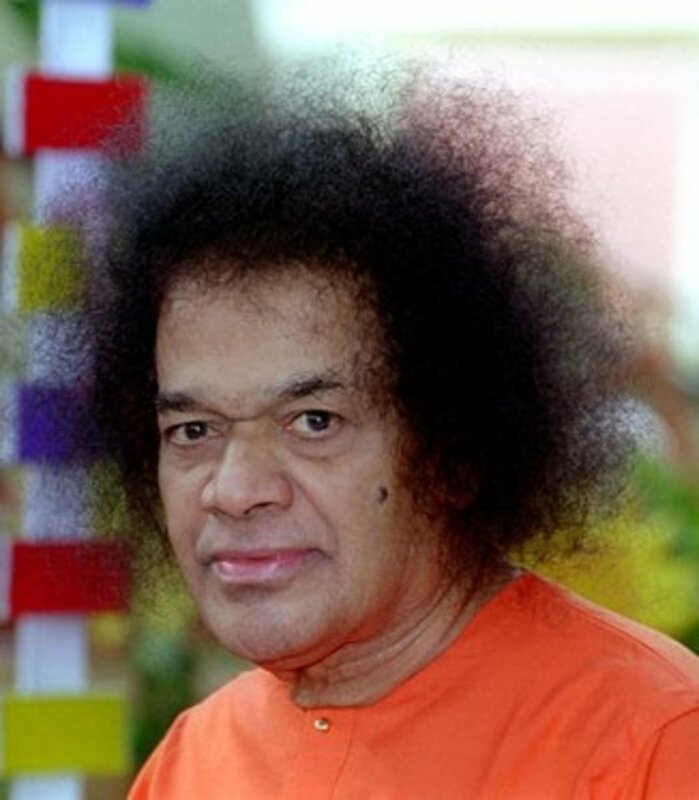 Sri Sathya Sai Baba clearly resolves this timeless debate on whether the means are more important or the ends. The answer comes through the experience of Mr.Pushkaraj Gumaste, MD at Barclays Capital. 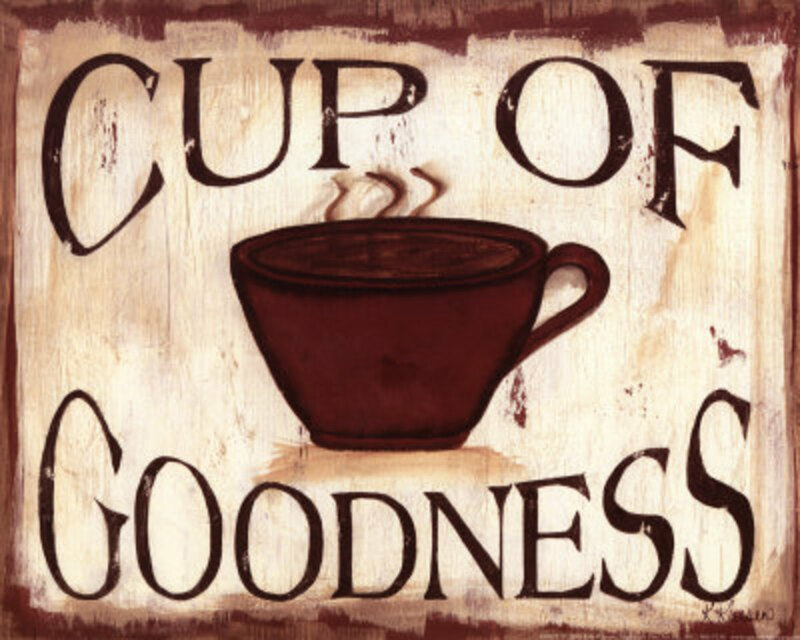 Goodness is often considered as weakness and foolishness. 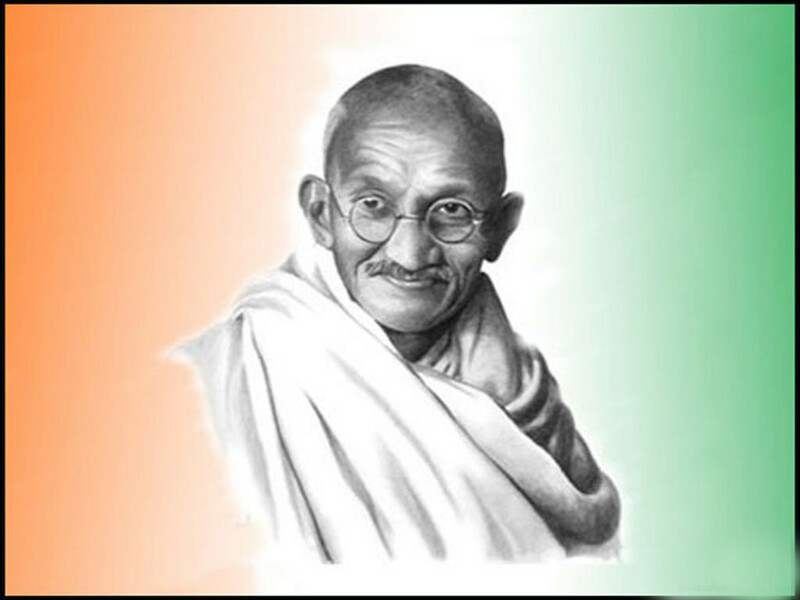 The power of goodness make take time to take effect, but it is surely bound to happen. 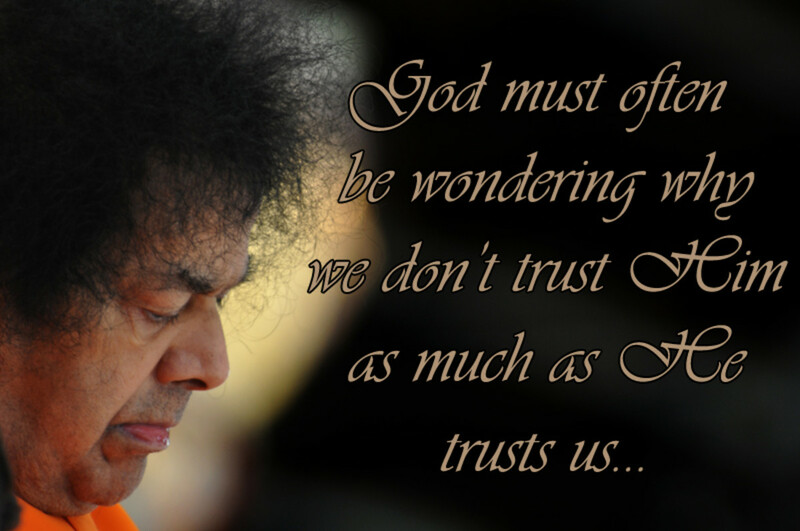 That is the profound teaching of Sri Sathya Sai Baba. 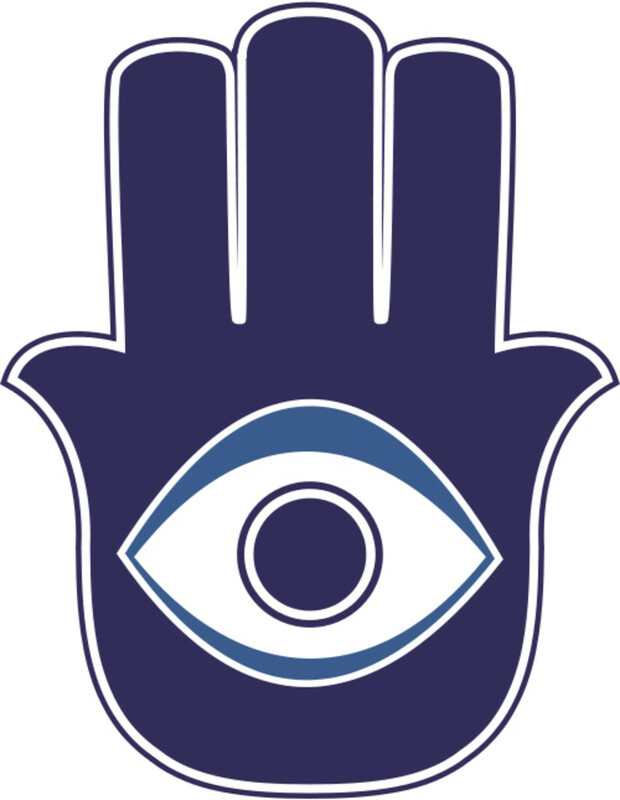 Can you believe that the greatest force on earth is ready to fulfill all your desires? 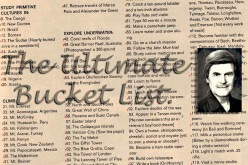 Before you prepare a bucket list, here is something that all must know. 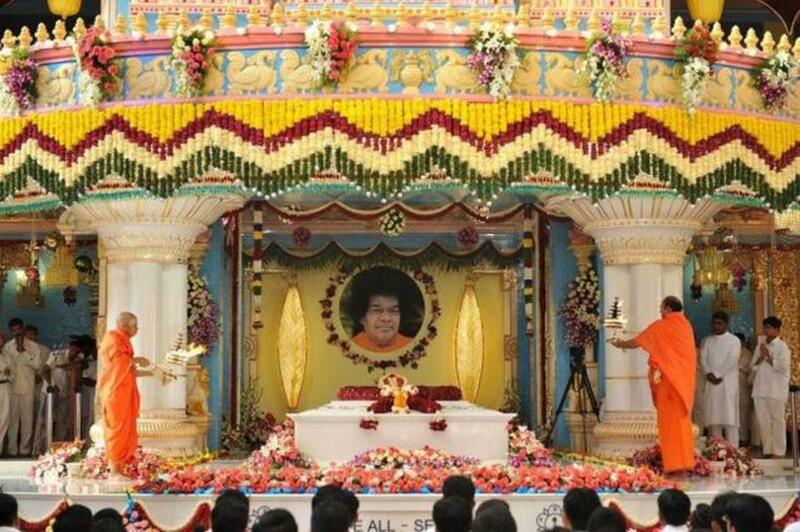 Inspired by Bhagawan Sri Sathya Sai Baba. 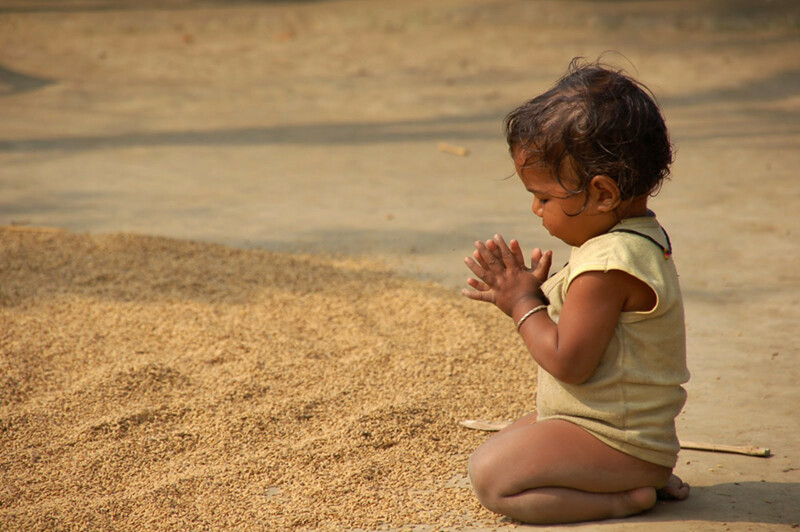 We believe in starting off early in life for everything except for spirituality. 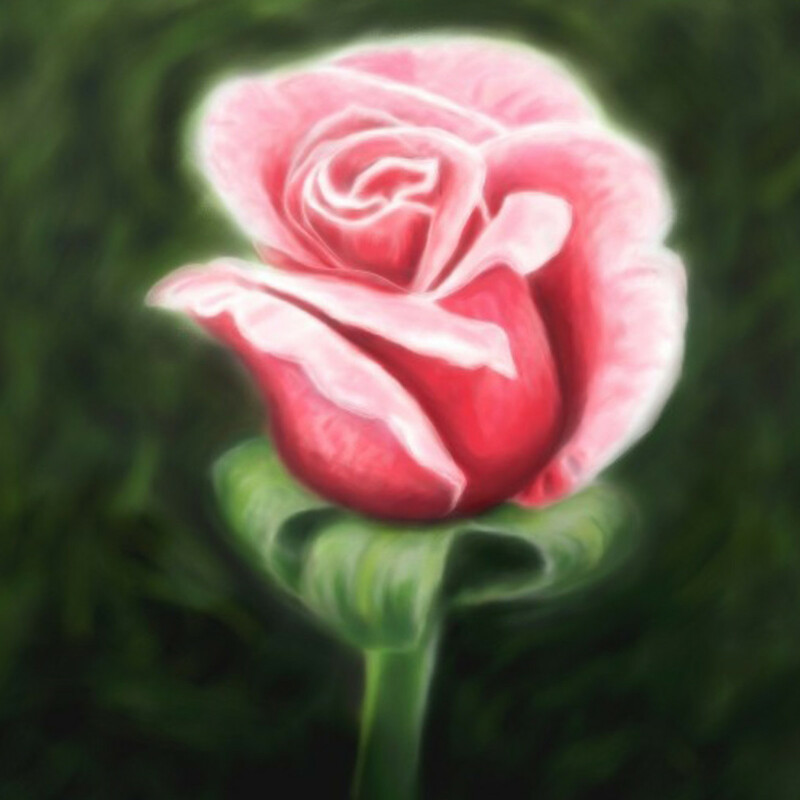 It is best to offer ourselves to God as rose buds and bloom into fragrant blossoms in the care of the divine gardener. 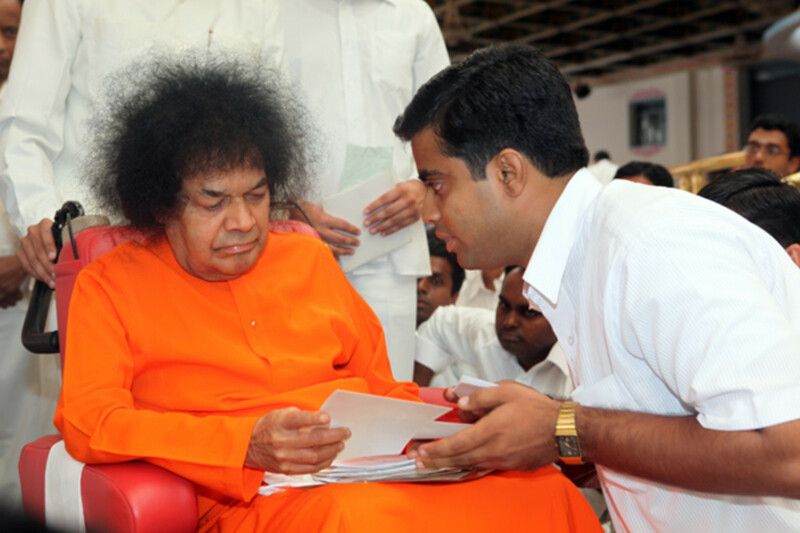 Swami, Sri Sathya Sai, kept up His word to perfection after 5 years of giving it to a student. 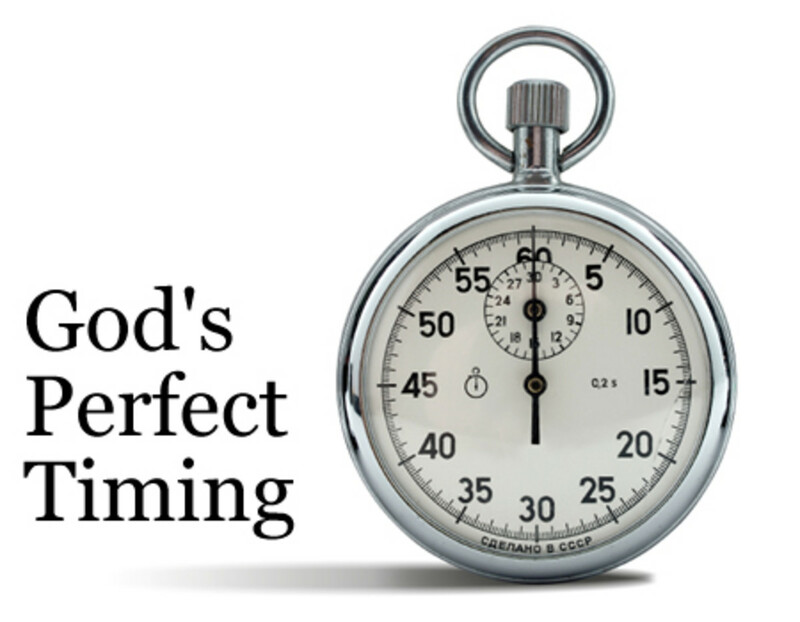 This experience and the lesson shows that God never forgets. He gives when we need, not when we want! 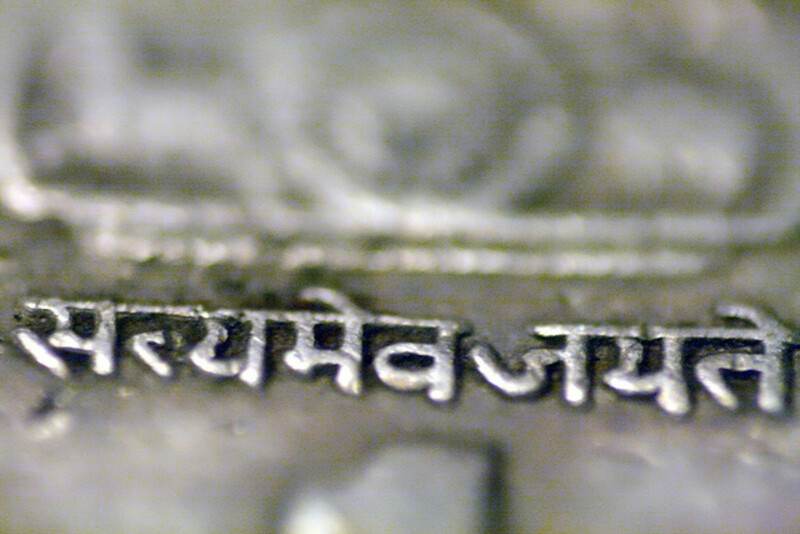 God is the best good luck talisman. Being by His side ensures that there is nothing like a 'misfortune' in life. 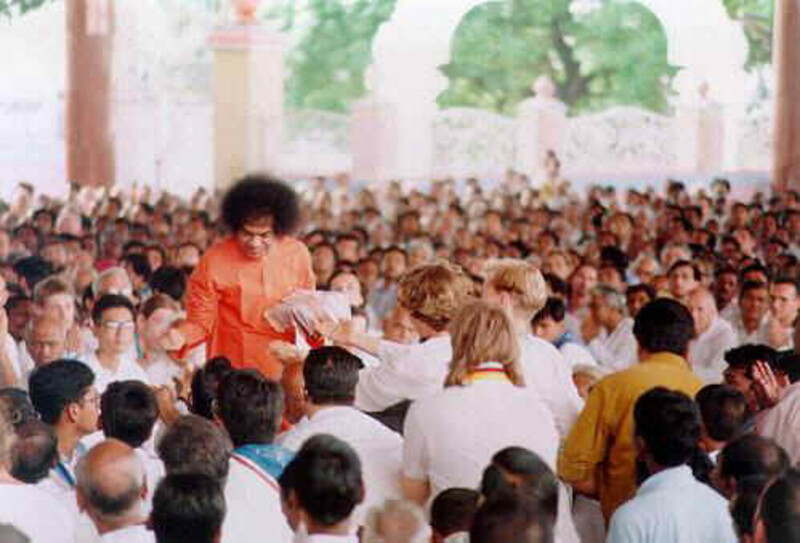 Here is an experience with Sri Sathya Sai which depicts exactly this message. 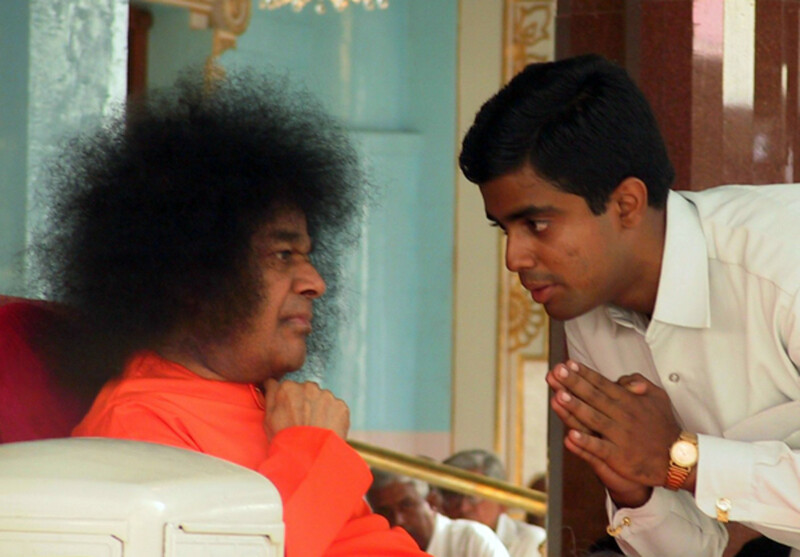 Here is the unfolding of an experience with Sri Sathya Sai that taught me a lesson or two about the inspiration behind inspirational speakers. 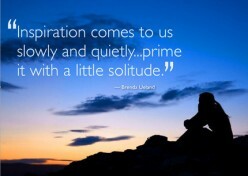 God is the inspiration while we are mere 'speakers'! 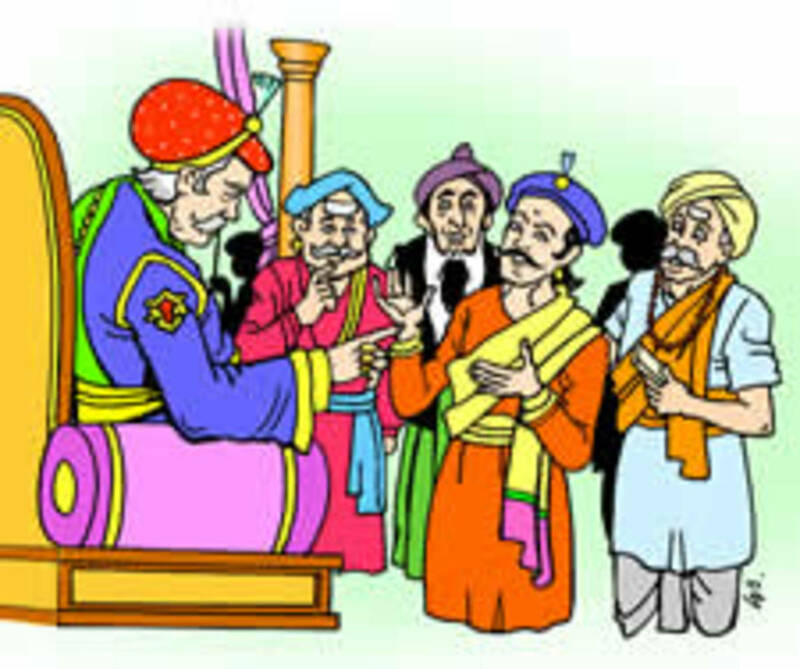 The best way to enthrall kids is through stories. 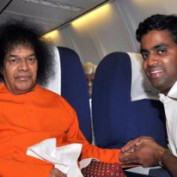 That is what Swami did through His Chinna Kathas. 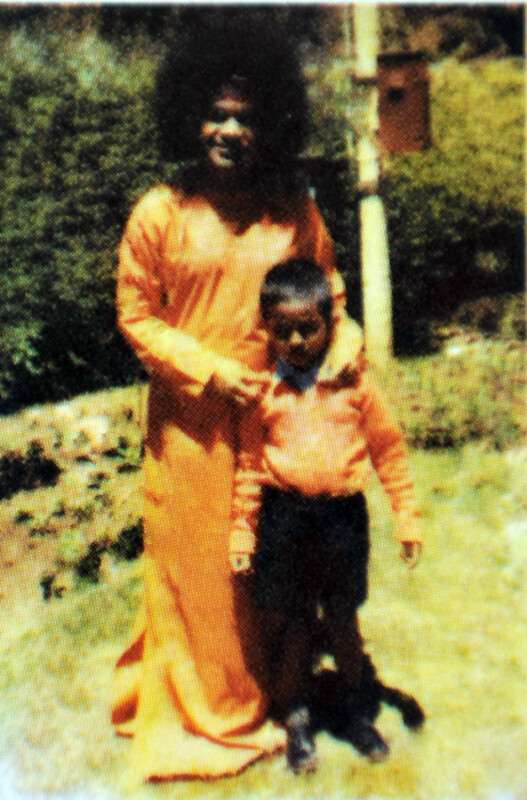 Here is a sweet story about Sri Sathya Sai Baba's avatarhood that has suspense, thrill and sweetness. Proximity to God points to the ability to feel Him everywhere, at all times. 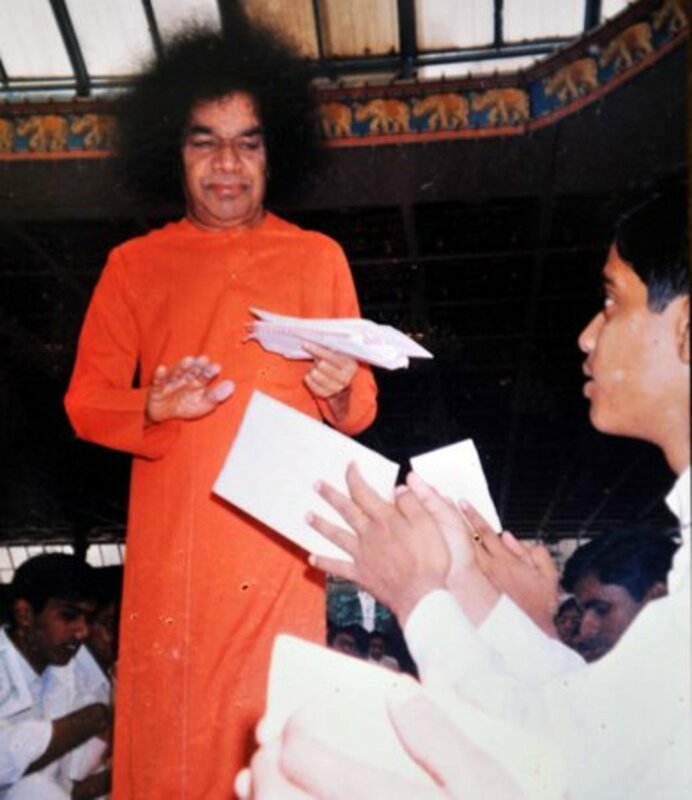 Here are a few experiences of a Sai student that reveal the true meaning of proximity to God - Nearness and Dearness! 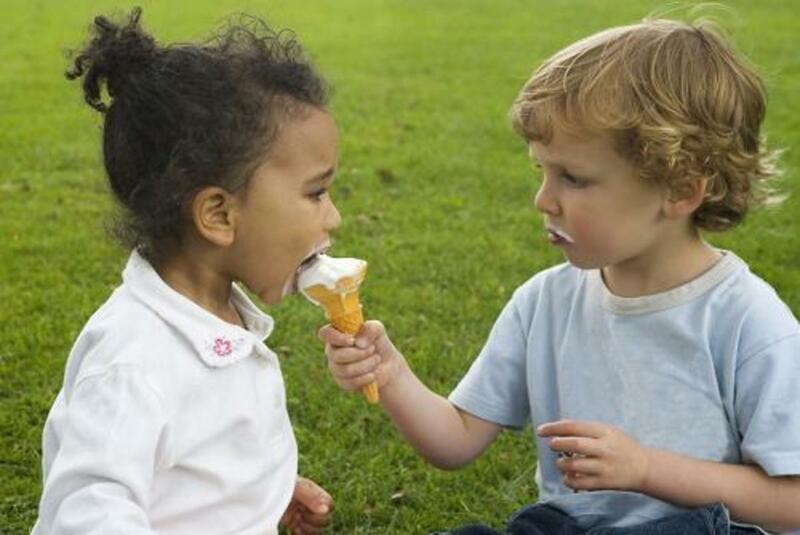 God has a magical way of making each person feel special, like he/she is the apple of His eye. 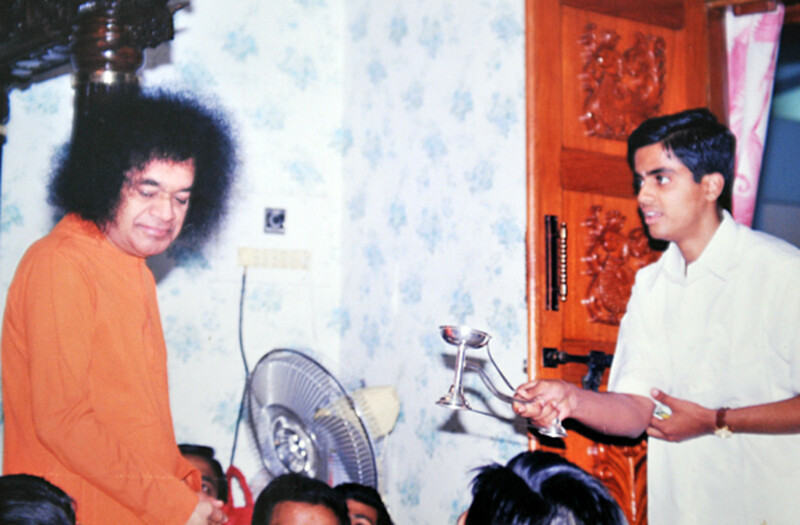 This experience showed my dad how dear he is to his Lord, Bhagawan Sri Sathya Sai Baba. 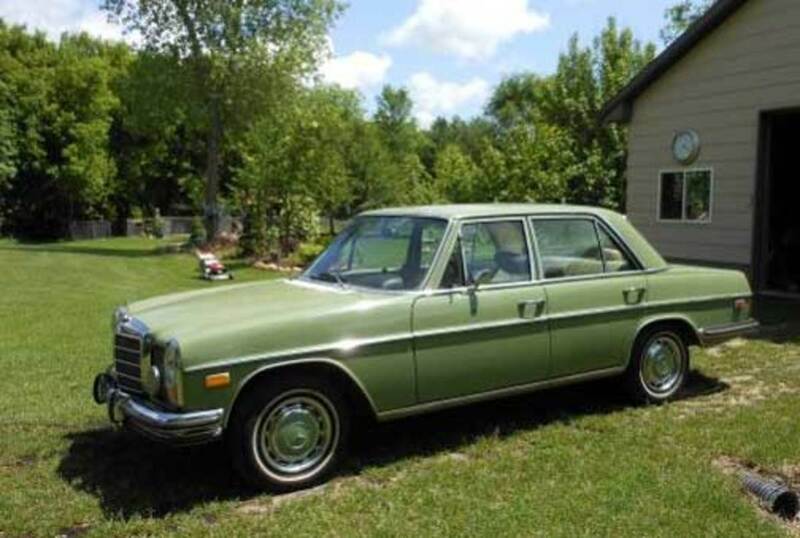 Set in 1970. 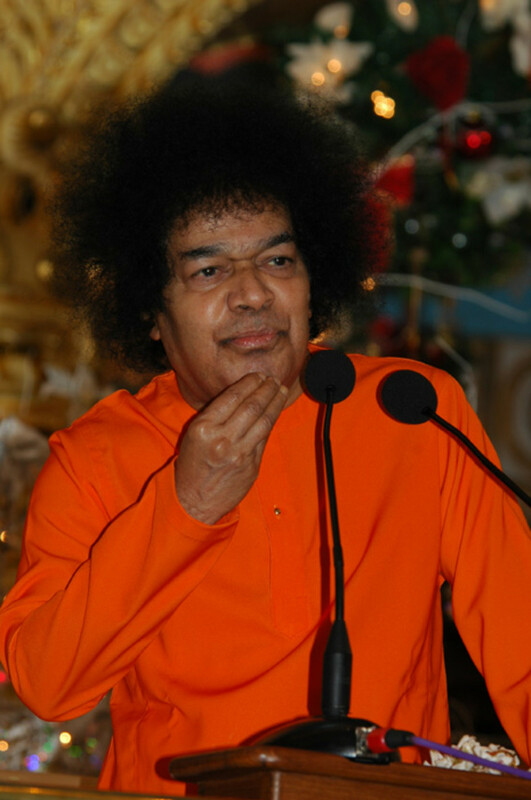 When we say that every word of Swami is a Vedavakya, should we consider some statements ‘serious’ and some ‘casual’? 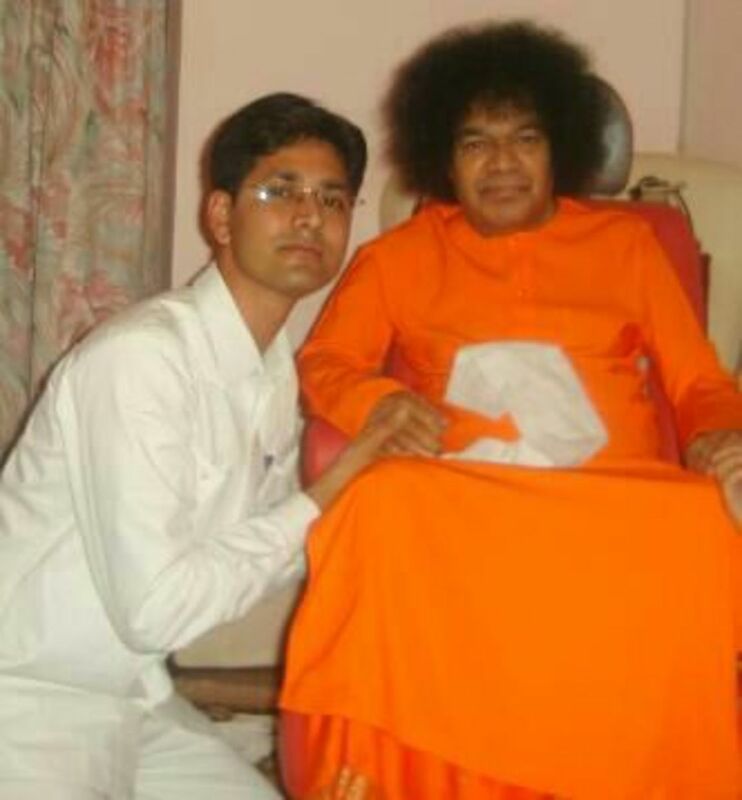 Shared by a Sai Student, this miraculous experience spans a decade. The conclusion is just thrilling! 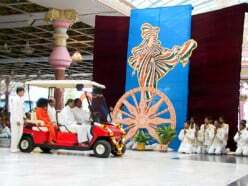 Here is a lovely story of the legendary Birbal and emperor Akbar which Bhagawan Sri Sathya Sai Baba narrated. 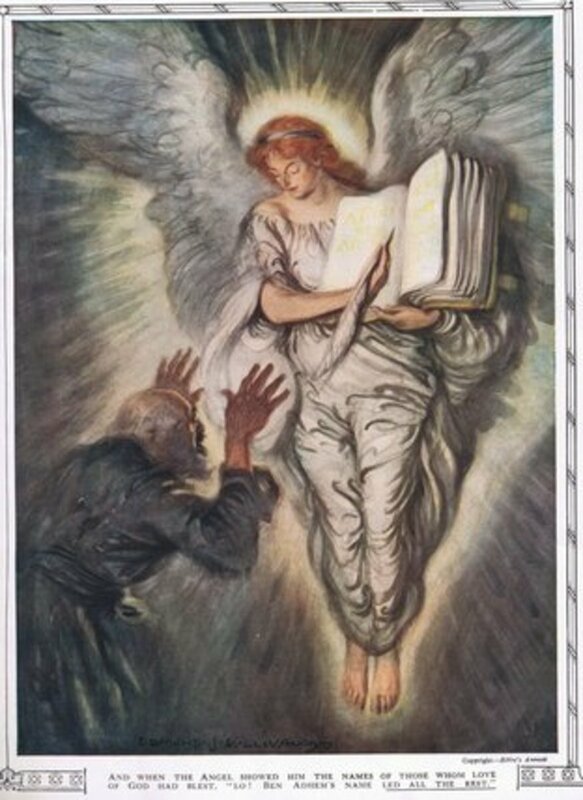 Following that is the 'Birbalesque' manner in which a student used the same story in his speech in the Divine presence to marvelous effect. 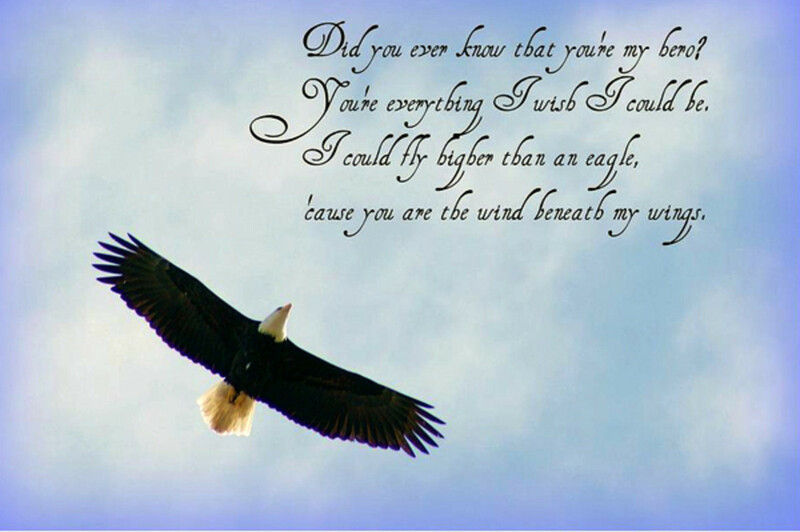 "I can fly higher than an eagle for you are the wind beneath my wings." God is the basis of all that we do and not a blade of grass moves without His will. 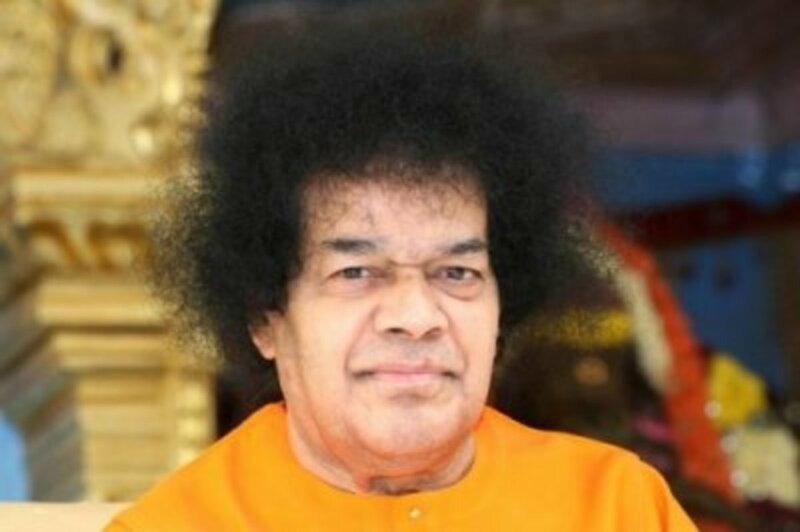 Here is the near-death experience of a student where his Lord and Master, Bhagawan Sri Sathya Sai Baba proved to be the wind beneath his wings. 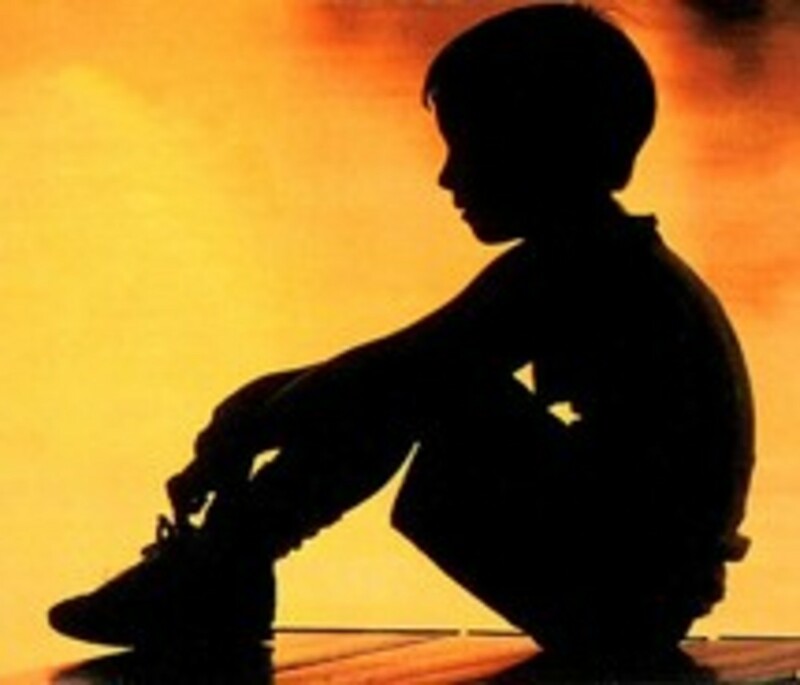 The experiences of childhood often leave a very strong impression on one's lives. 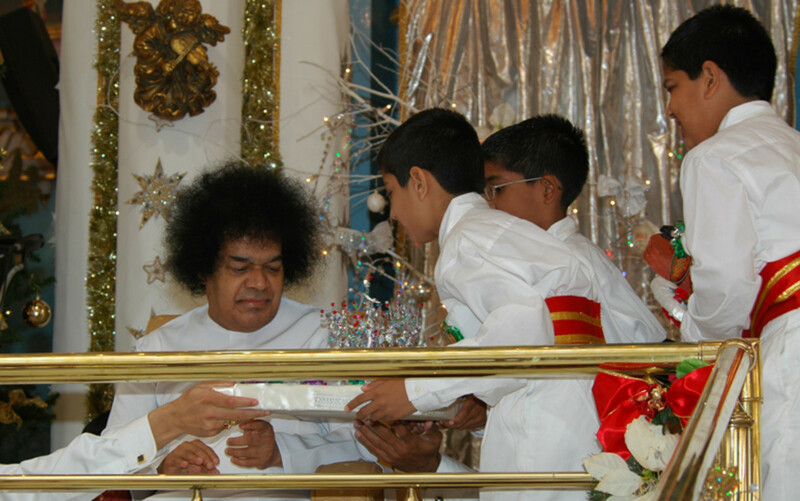 Blessed indeed are the children from the Sri Sathya Sai Primary School that they spent their childhood at the lotus feet of the Lord! 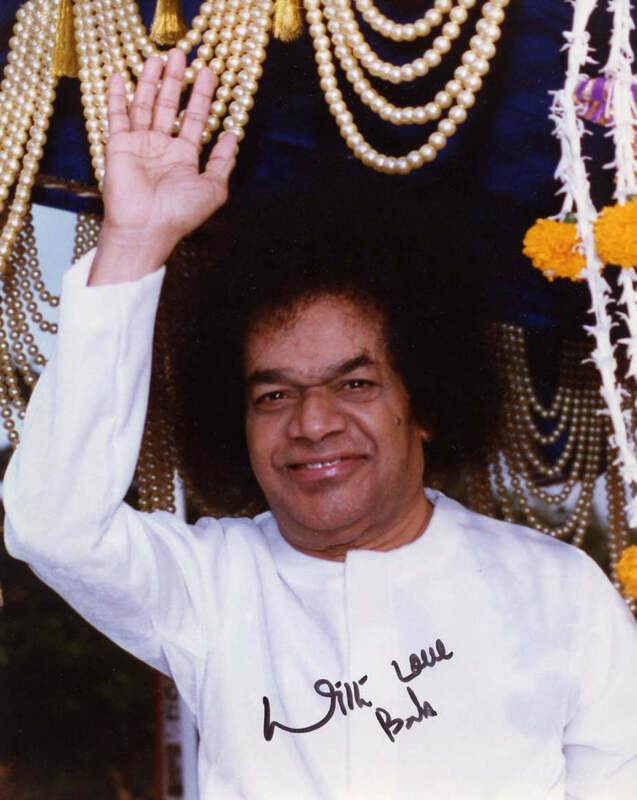 Miracles 'were' one of the major ways through which Sri Sathya Sai Baba entered hearts. And He continues to do so today because miracles are His nature. 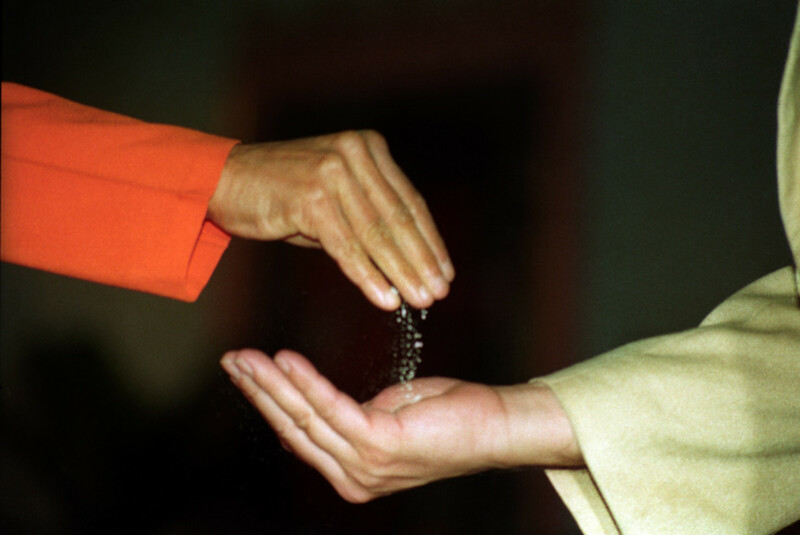 Here are some manifestation miracles that I have witnessed. 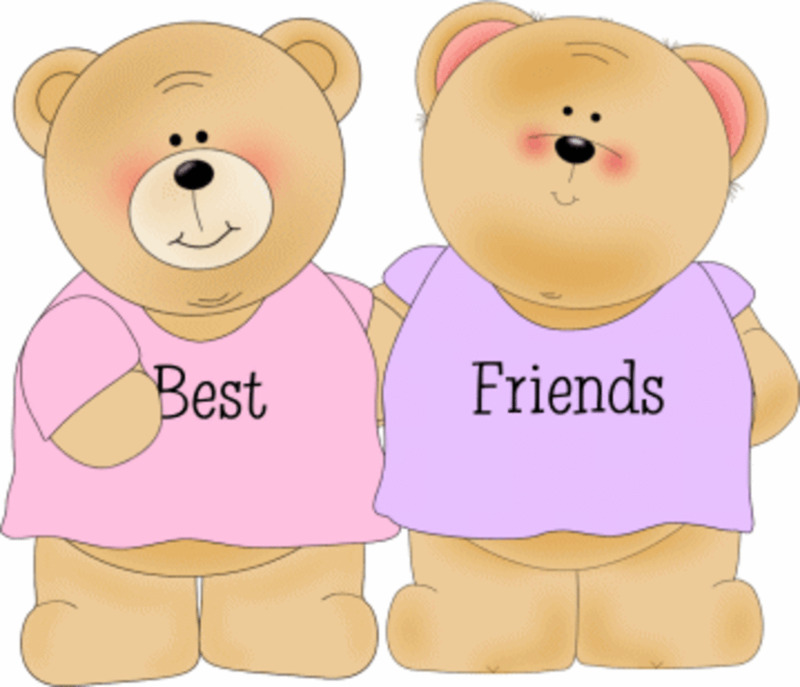 We often look at friendship with God as a last resort, when all else seem to fail. 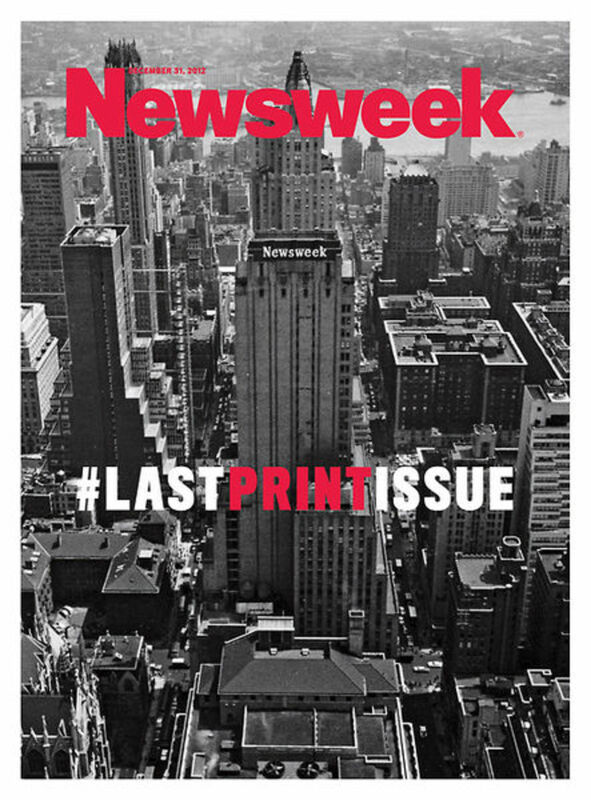 If we make THAT as our first resort, why will anything ever fail? 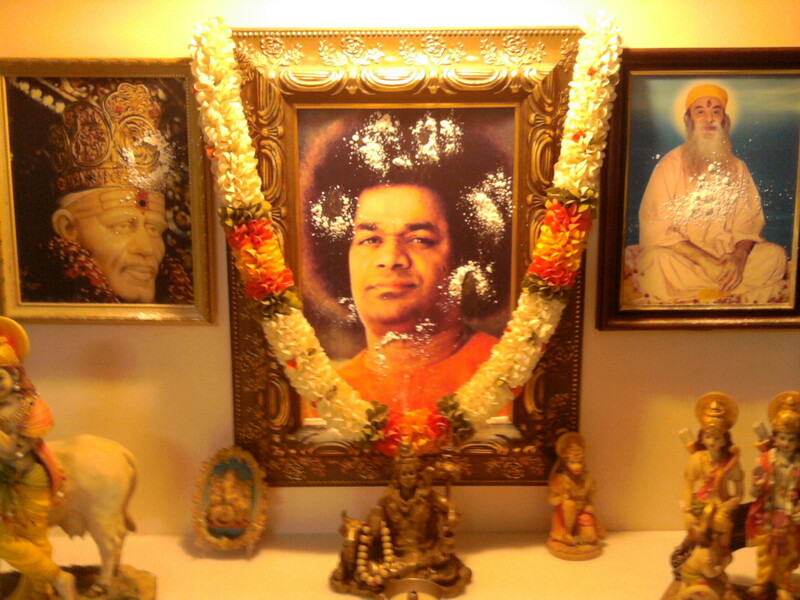 Part 2 of my experience with Sri Sathya Sai Baba. What should one do to deserve God? 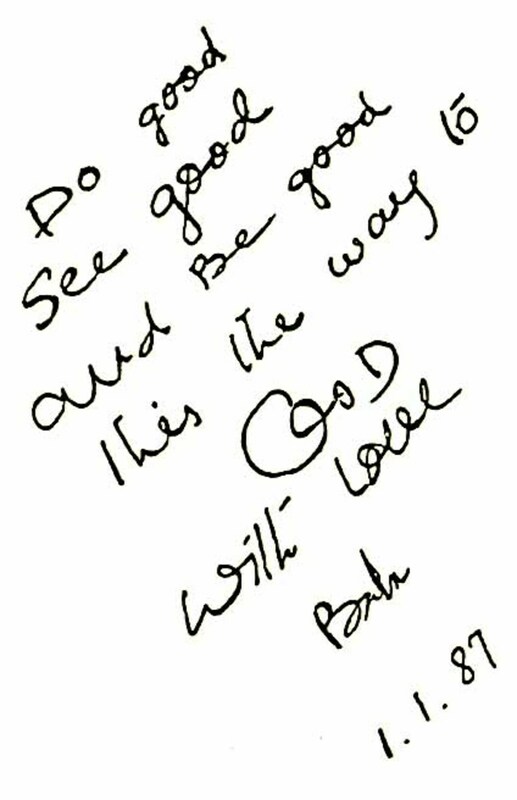 Sri Sathya Sai Baba's answer is very simple- If you need God, you deserve God! No applied conditions; no needed qualifications, for God's love is unconditional. 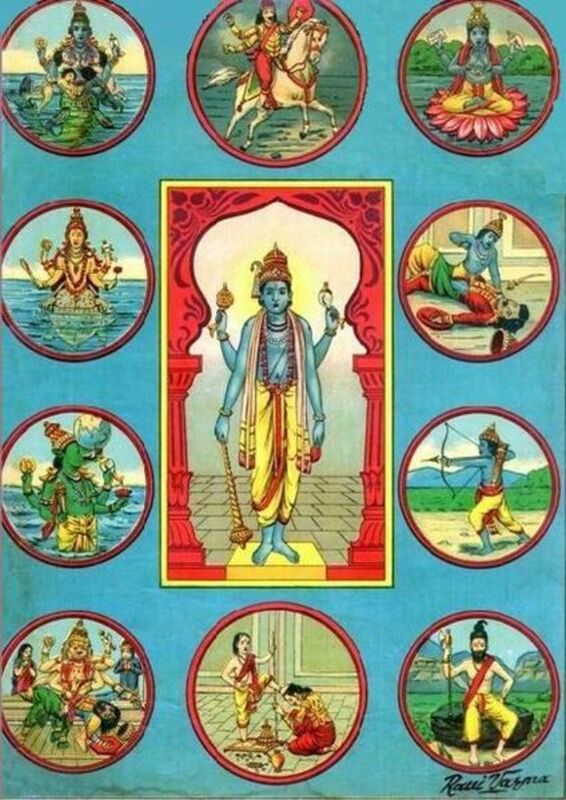 A little diving into history lends meaning to 'strange' Hindu rituals like the Arati (Aarthi or Aarti also). 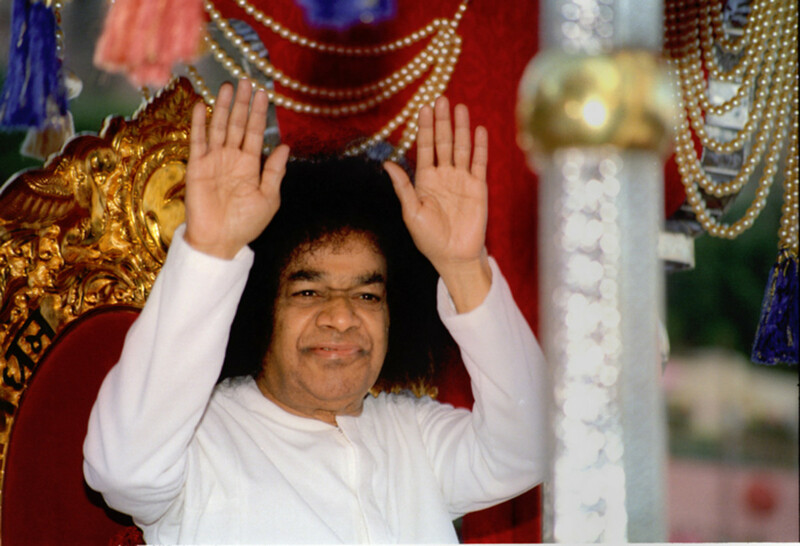 Sri Sathya Sai Baba's insight takes the ritual of waving camphor to new lofty heights. 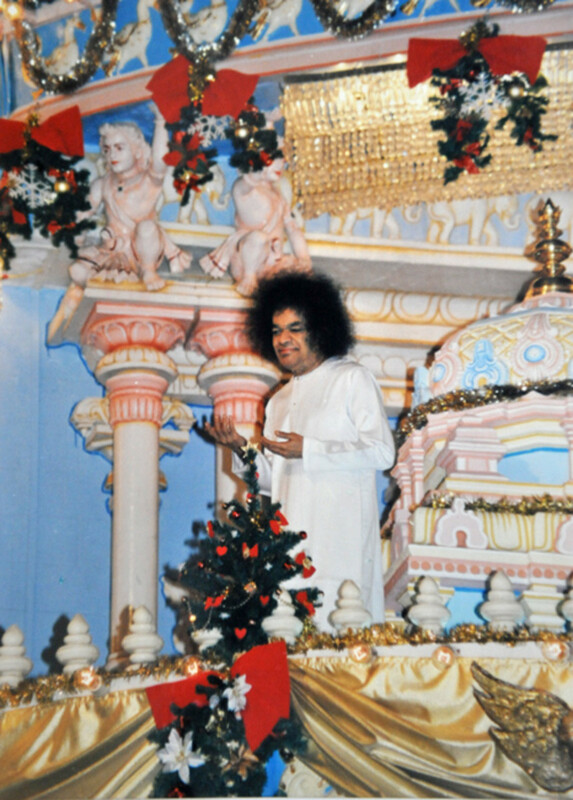 Diwali, the festival of lights, has always been a joyous festival in the presence of my Lord and Master, Bhagawan Sri Sathya Sai Baba. Reliving some beautiful memories of Diwali, with photos! 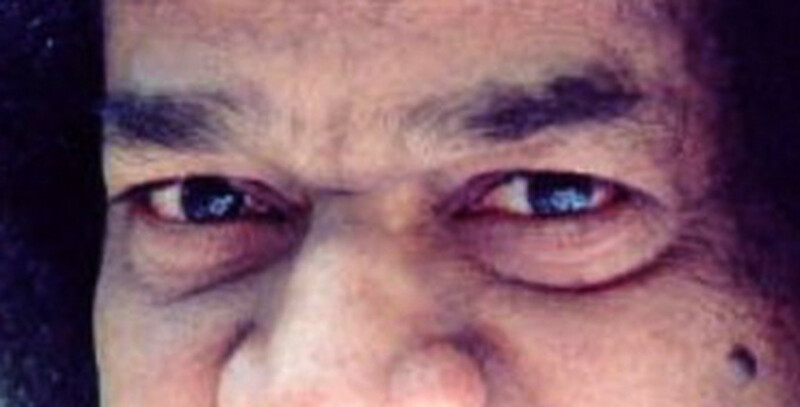 This is the concluding part of my experience with 'Drishti' or 'Buri Nazar' or 'Evil eye' as it is called. 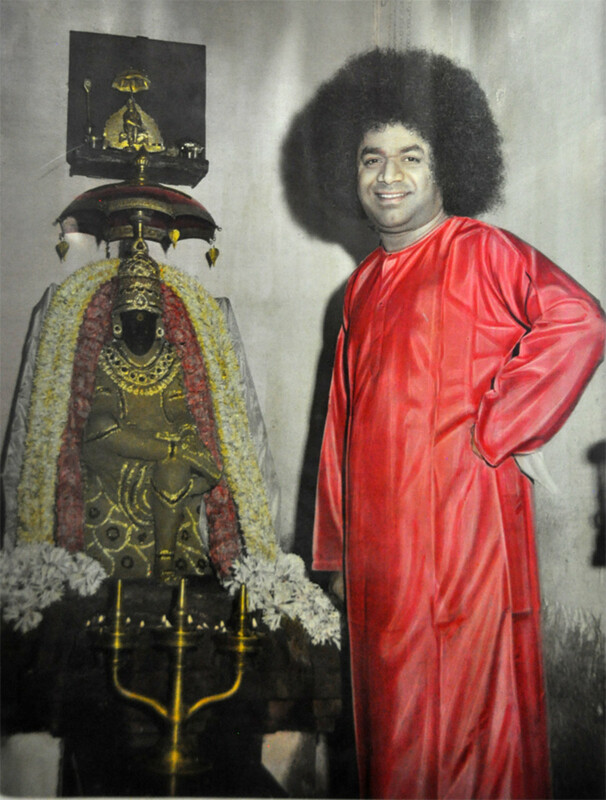 This experience with Bhagawan Sri Sathya Sai Baba taught me the the purpose and significance behind the concept of the evil and eye and the way to overcome it. 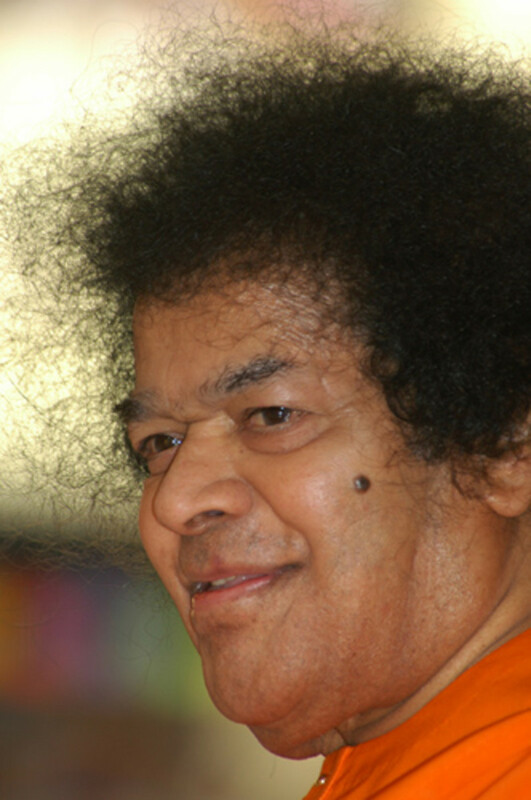 My best photography days have been photographing my Master and best friend, Bhagawan Sri Sathya Sai Baba. 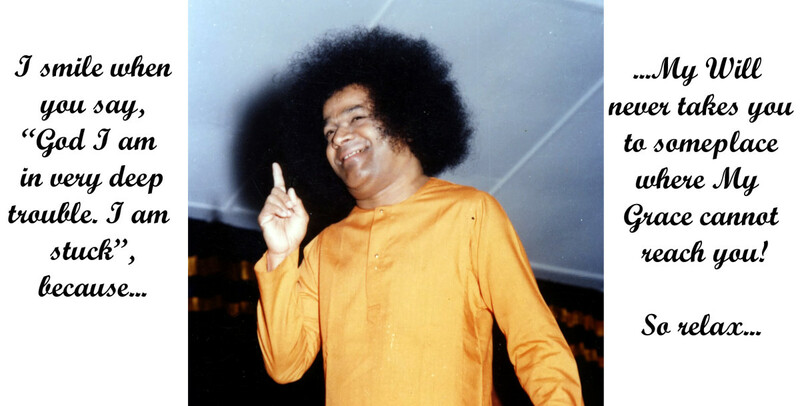 Here is a series of seven photographs which captures the beautiful and infectious laughter of Swami. The story behind what happened is also narrated. 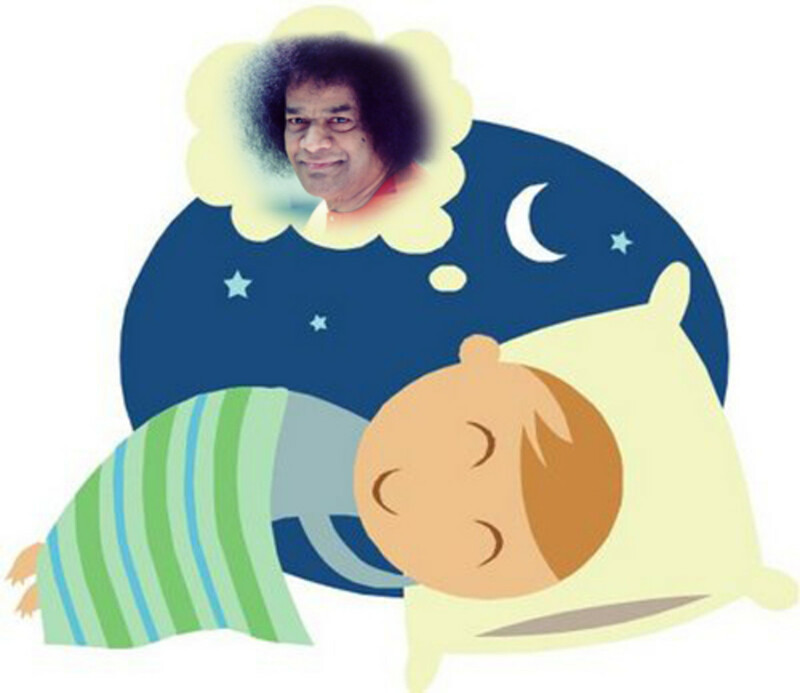 As Bhagawan Sri Sathya Sai Baba says, the dreams in which He appears are real. The time taken for them to happen in reality varies from case to case. 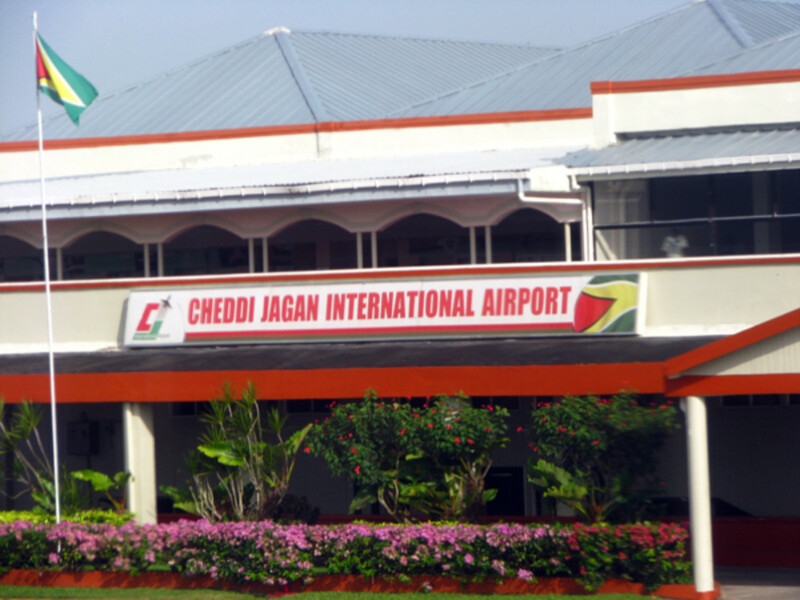 Here is an experience of a dream which manifested itself in months. 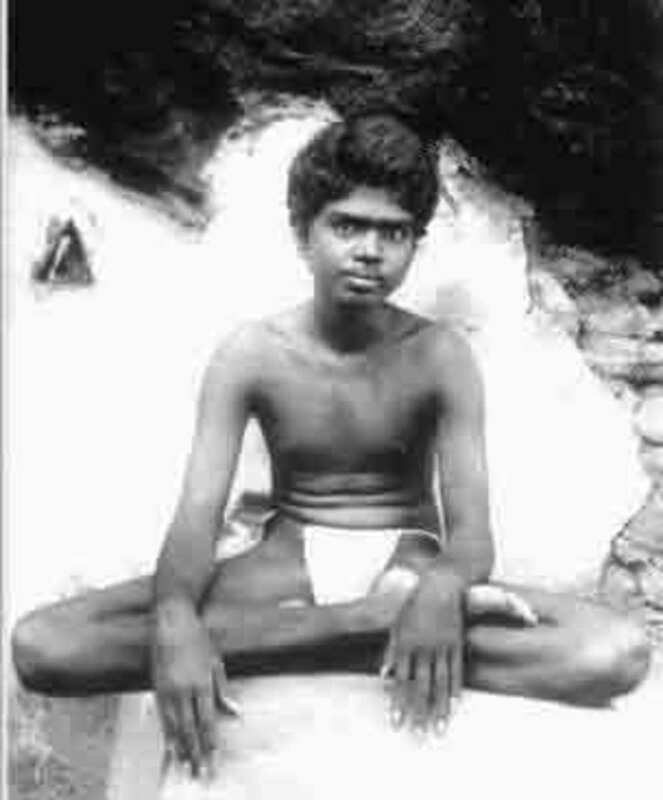 Also follows a brief on what one should do when one gets a dream of Swami. 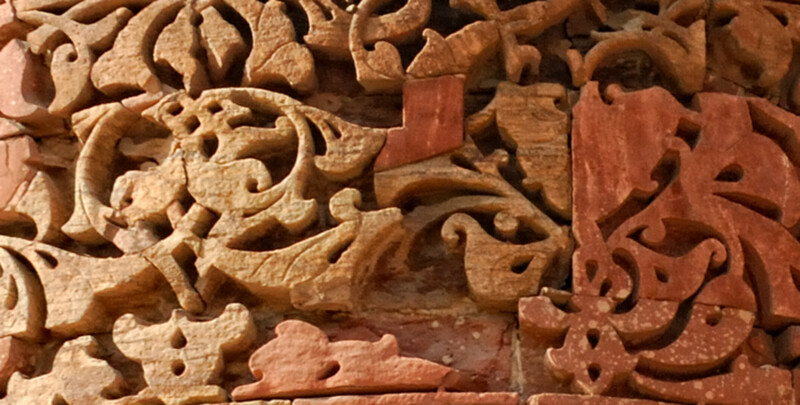 “Why does bad happen to good people (and vice versa)?” A questions based on KARMA! And the answer lies in understanding Karma Yoga. 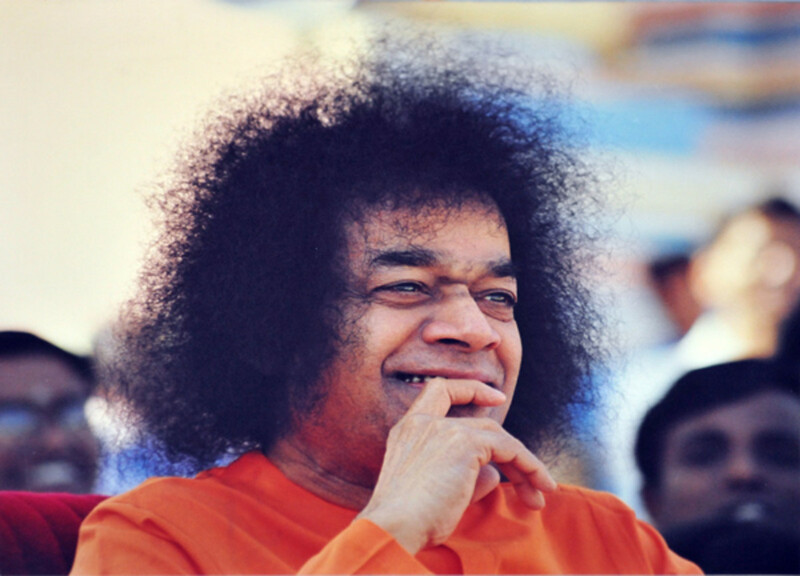 Here are wonderful insights provided by Sri Sathya Sai Baba. 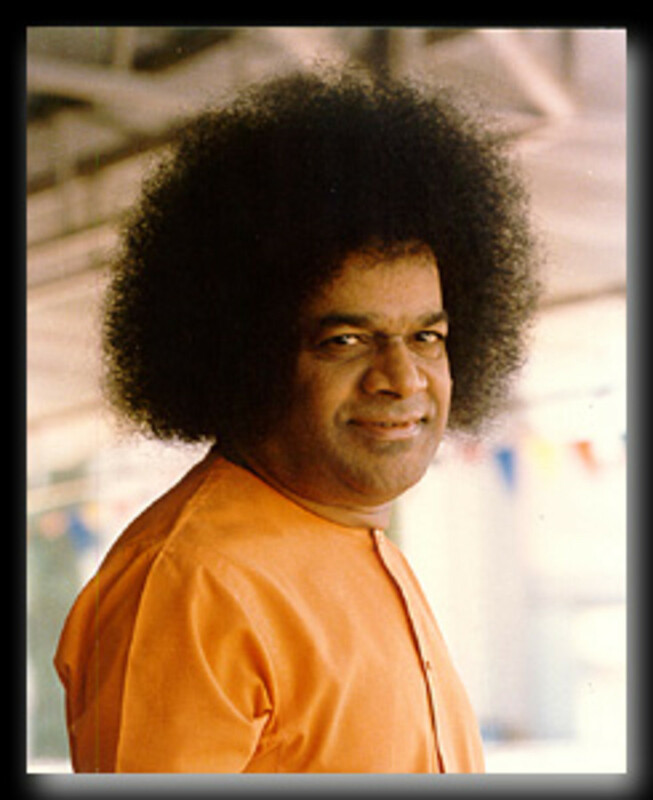 Ask any devotee of Bhagawan Sri Sathya Sai Baba, "How did you come to Swami?" What you will receive is a story of grace, wonder and love. 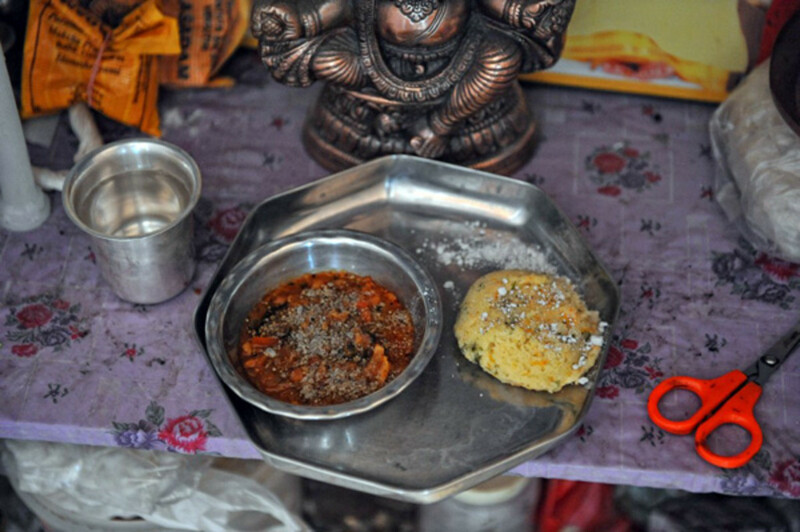 Here is the story of how my family became devotees of Baba. 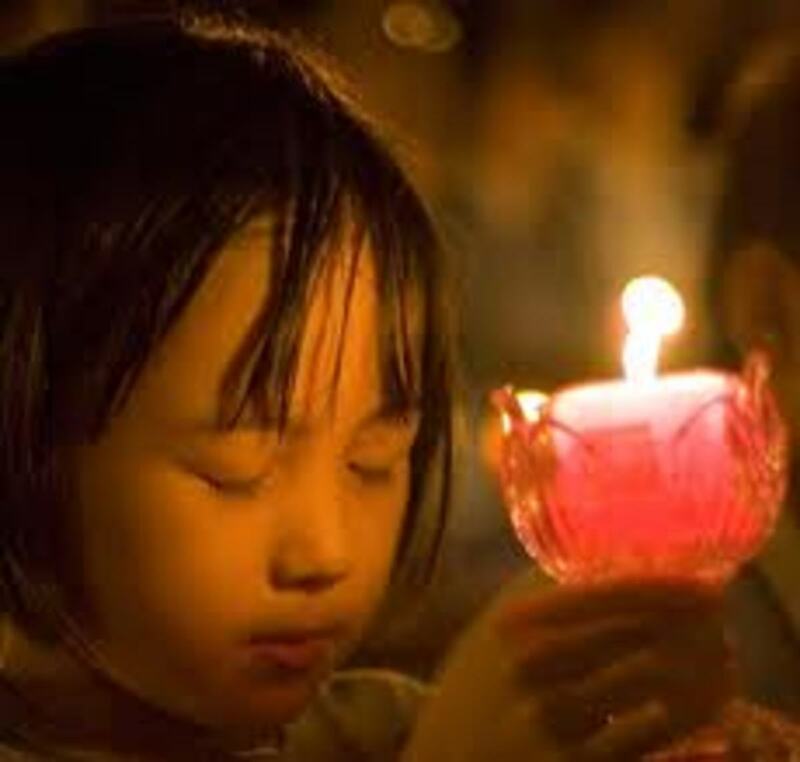 All of us pray - even the atheists (as hope/desire). 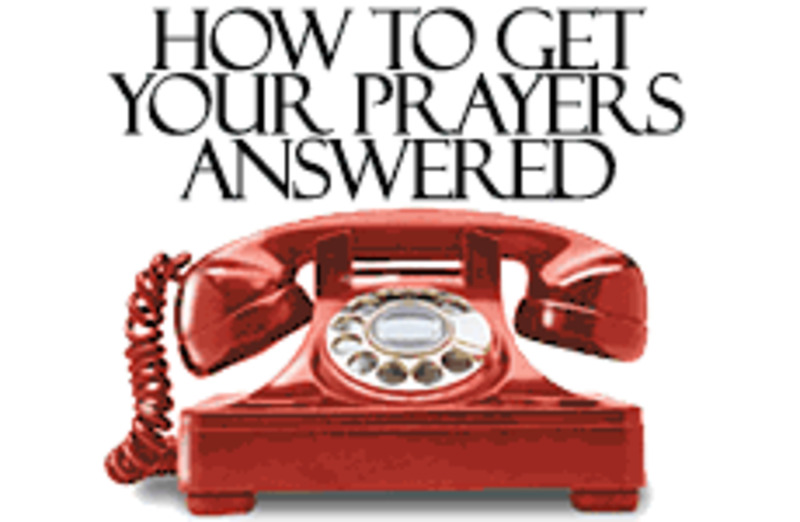 Is there any rationale why some prayers are answered while some are not? 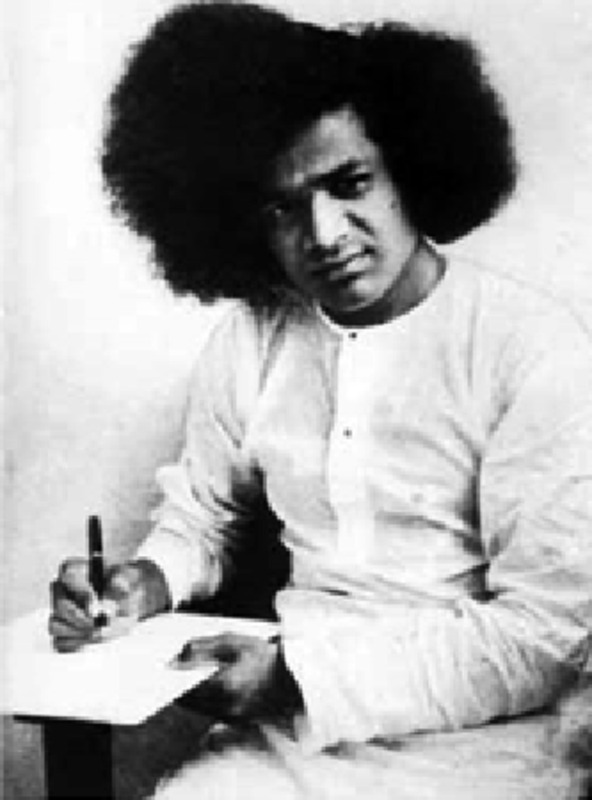 Here is a theory based on an experience with Sri Sathya Sai Baba. 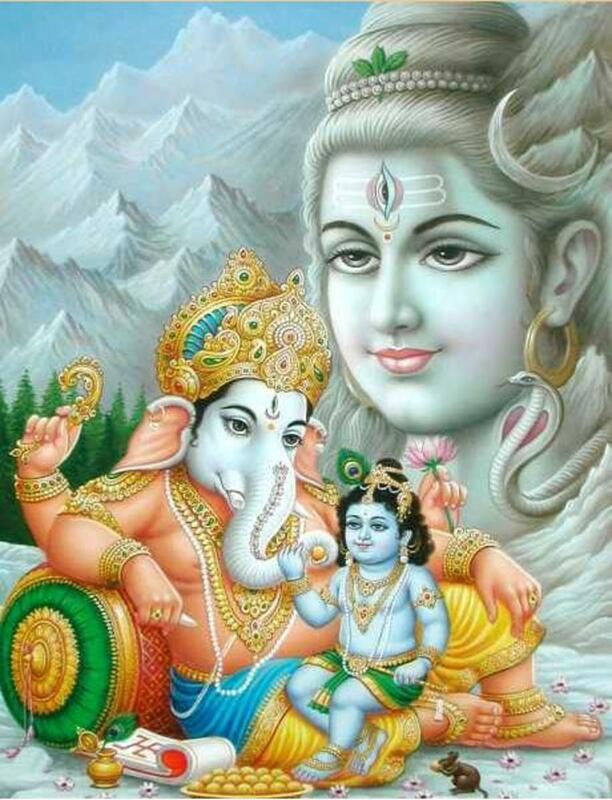 The story behind the belief that during the festival of Ganesha Chaturthi (Vinayak Chaturthi), if you see the moon you’ll face false allegations in the coming year, plus ways you can avoid the curse. 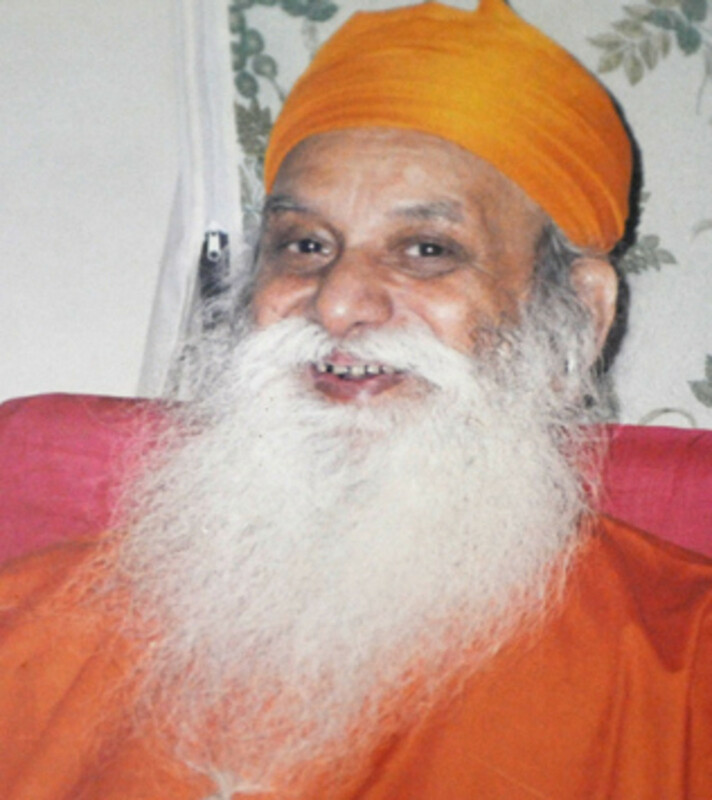 The life of Indian bhajan-legend, Hari Om Sharan has been one of dedication to bring love for God in people's hearts. 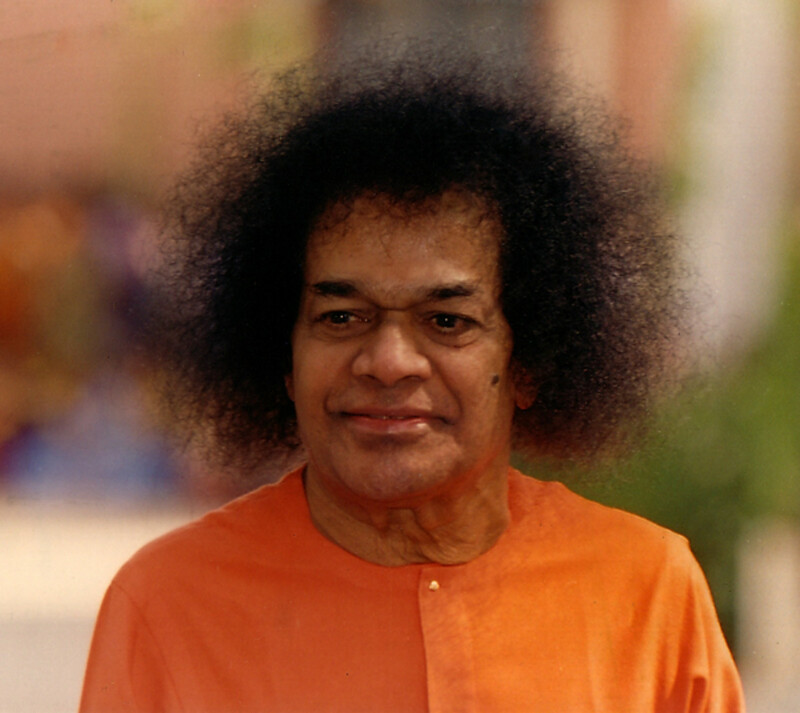 Sri Sathya Sai Baba 'knew' this even in the 60s and indicated the same too in an interview session with his students. 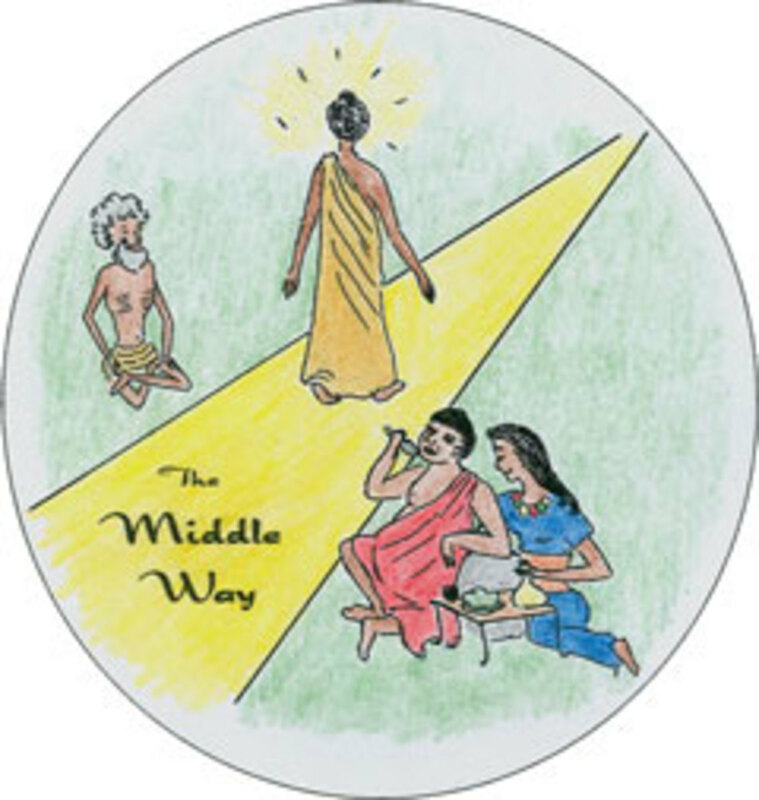 Buddha re-popularized the "Middle Path" which Lord Krishna taught in the Bhagwad Gita as equanimity. 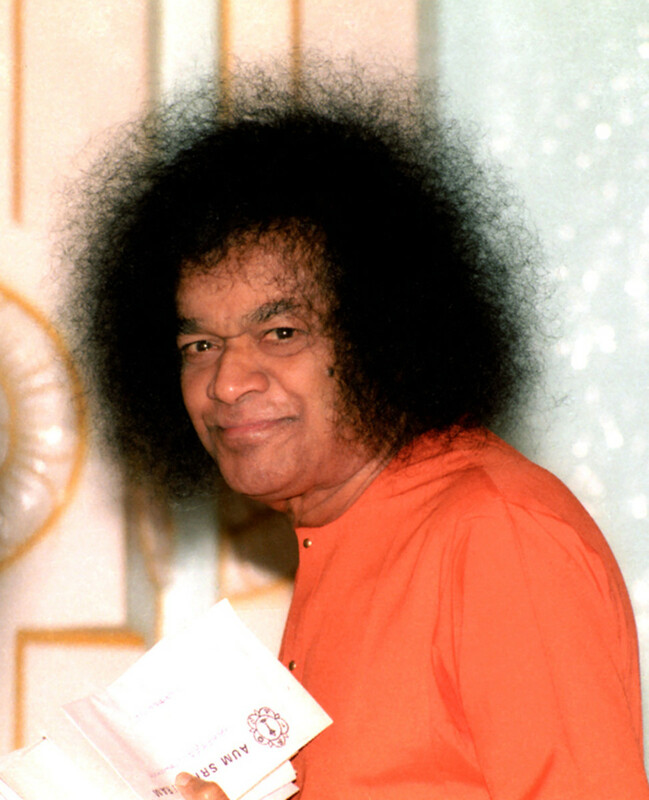 Here is an experience of wherein Sri Sathya Sai guided me to the middle path in matters concerning the 'ego'. What could possibly be the greatest gift one could ever receive? 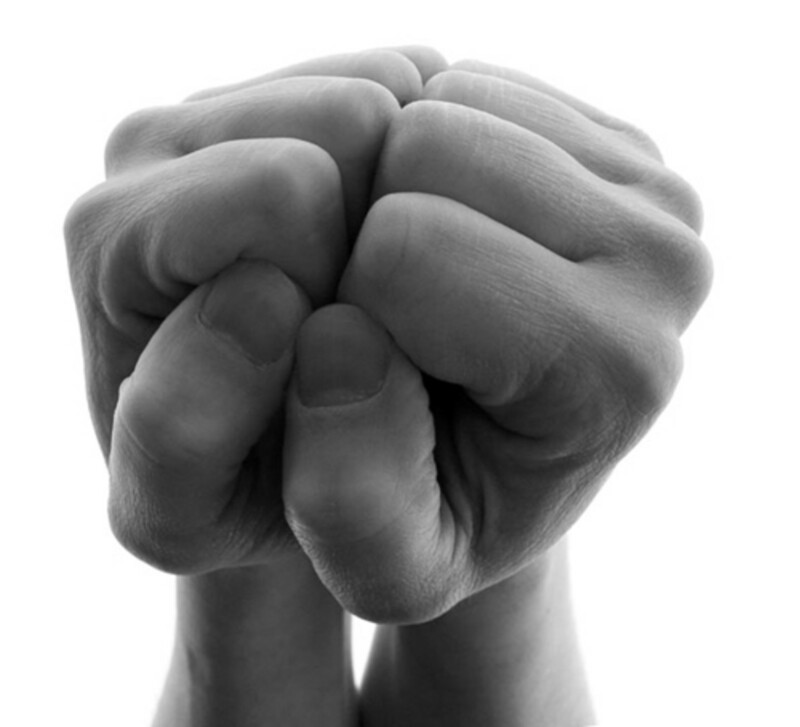 How beholden we feel towards those that gift us things. Then, I just wonder how beholden we must be to the one who has given us the greatest gift of all? 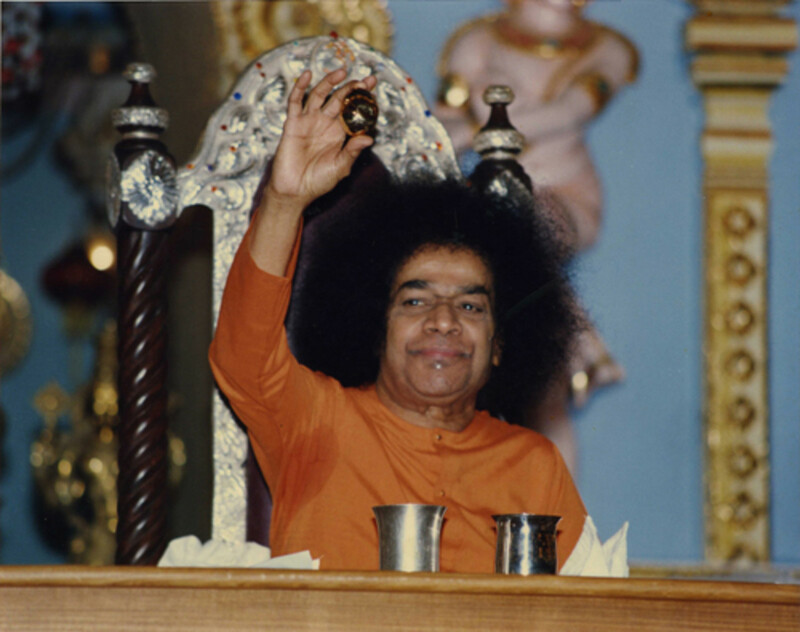 Continuing from Part 1 with the same title, this narrative details a very insightful lesson that a primary school girl learned from her Master, friend and confidante, Bhagawan Sri Sathya Sai Baba. She was sick with a bad throat and the music competition was hours away. What was she to pray? 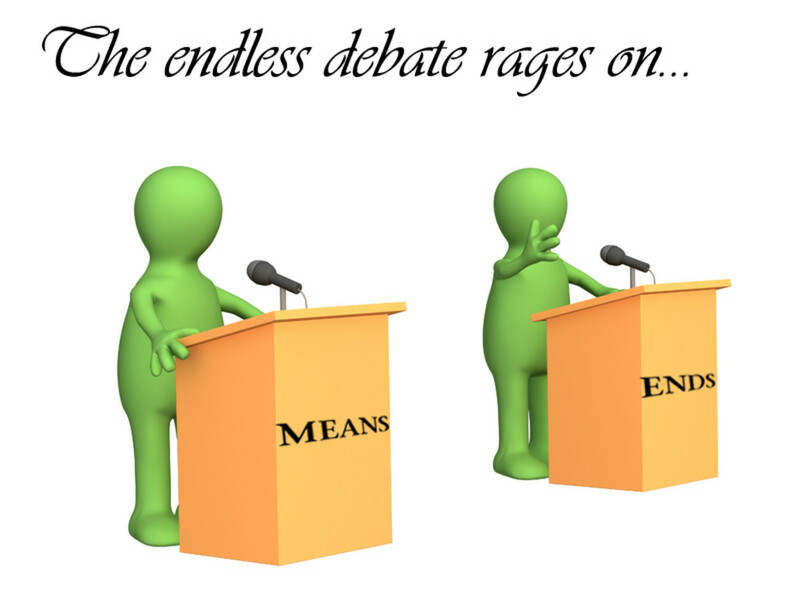 The debate between free-will and destiny if superfluous! 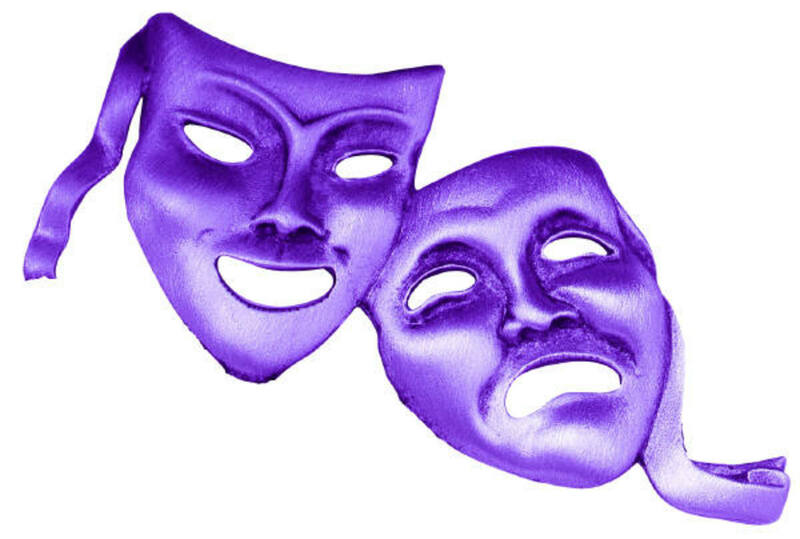 The greatest secret shows that destiny and free-will are the same! And we have 'complete control' as well as 'no control' over it. How does one explain these different ends of the spectrum? It becomes clear once you know the SECRET! 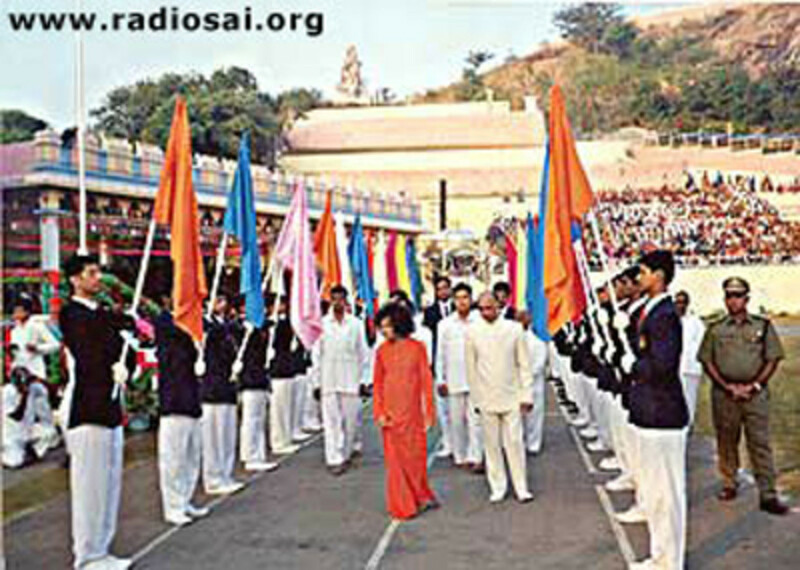 In an interesting manner, I received guidance that my Sadhana should be to see God in all and realize the God within. 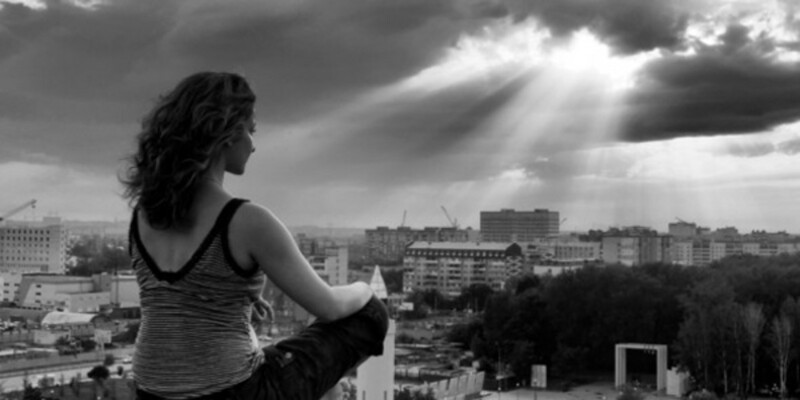 Though the Sadhana seems esoteric and fantastic, there are practical problems. 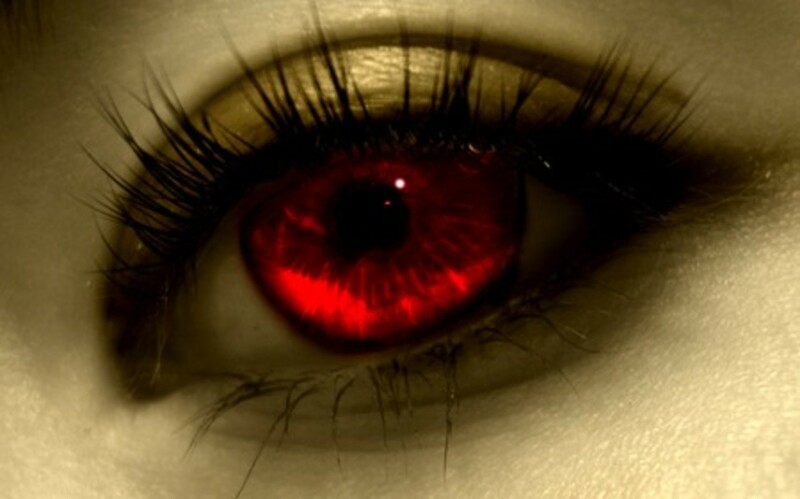 How can I see God in someone I don't like or someone I detest? 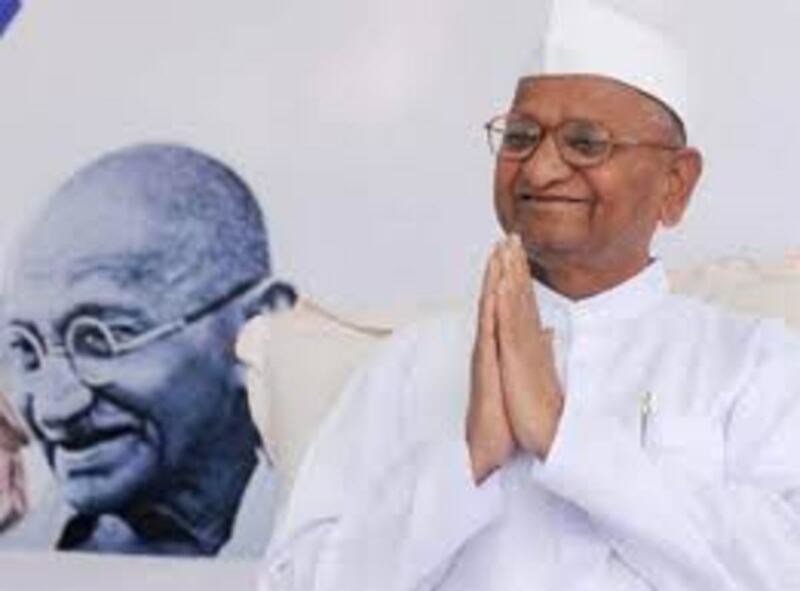 When an ego-clash emerged between two groups of students, it looked as though the Independence Day drama was bound to be a failure. 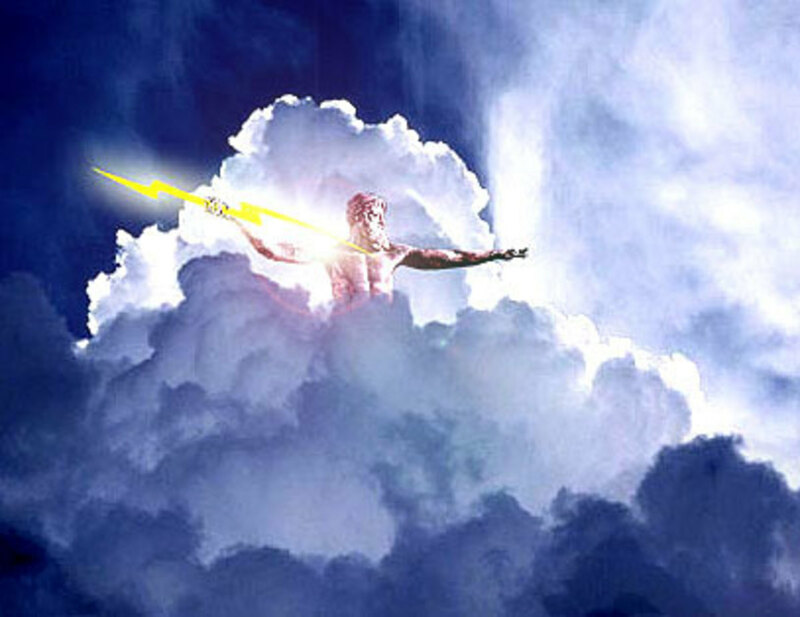 Then, God stepped in... and things were never the same! 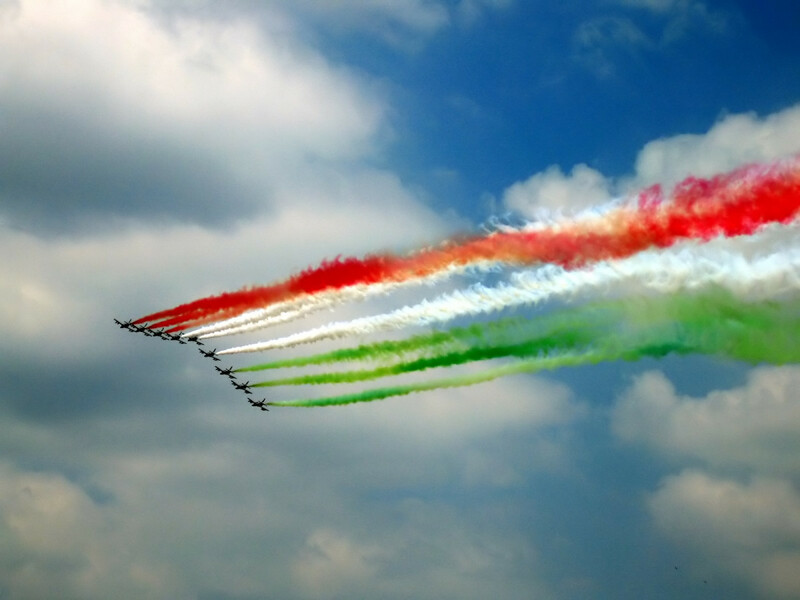 15th August - Independence Day in India. 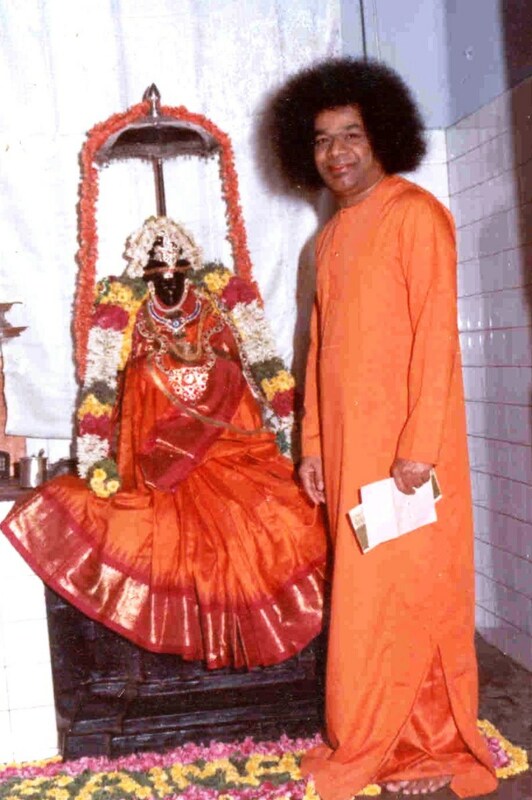 In 2004, when we decided to put up a drama in the presence of Sri Sathya Sai Baba, we had no idea of the experience and lessons that would be bestowed on us. 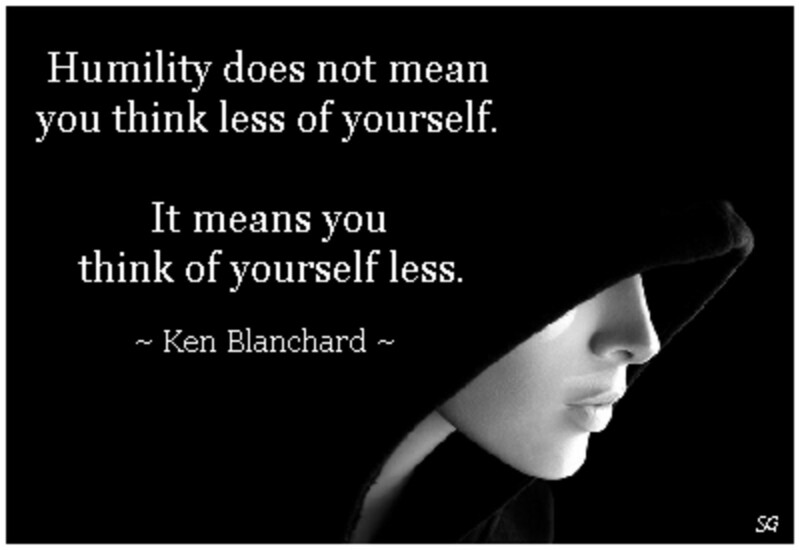 The benefits of praying for others are far greater than praying for oneself. 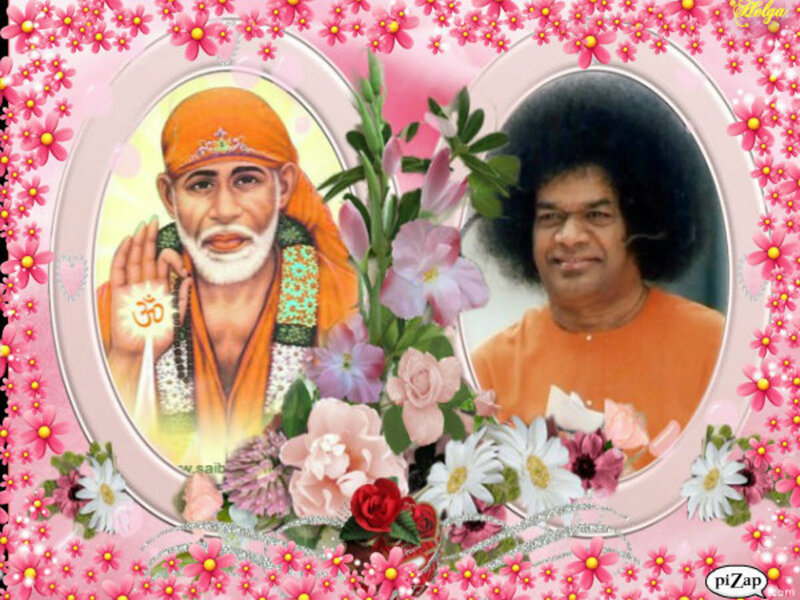 Here is an experience with Sri Sathya Sai Baba in my school days that proved to me that praying for others is uplifting. Life is so unpredictable. 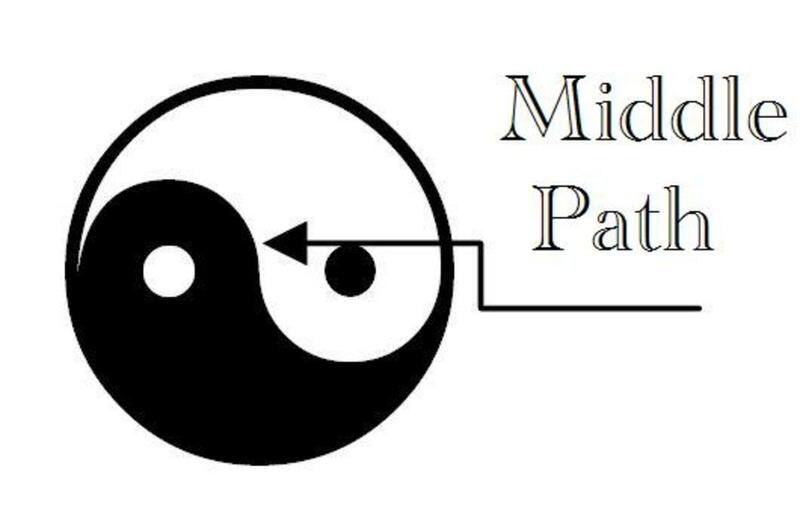 Situations move from good to bad and vice-versa in matter of moments. This narrative is a ride through the roller-coaster journey I had in January 2009 - a journey that shook me but also convinced me that the will of God never takes me where the grace of God cannot keep me! 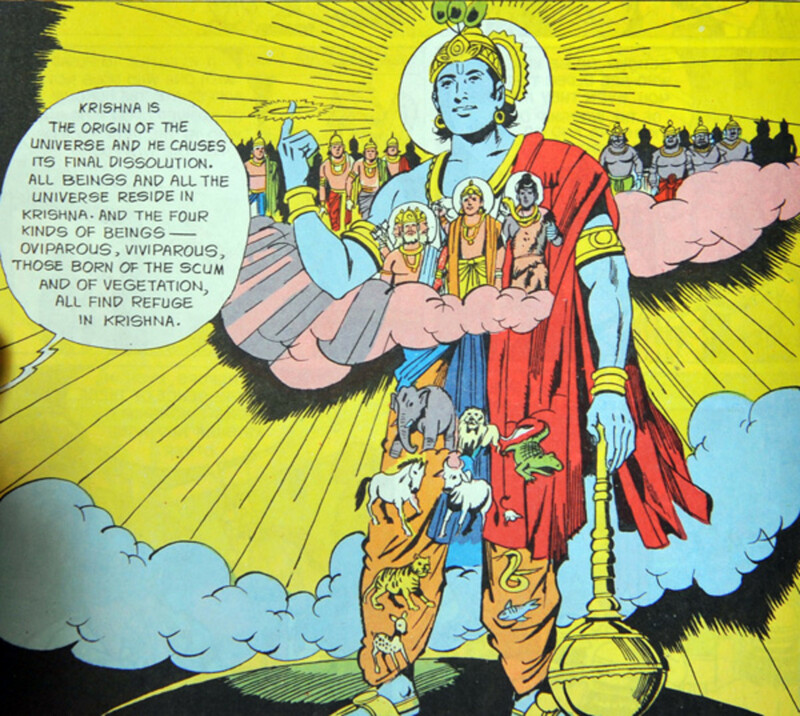 It was during my student days in Sri Sathya Sai Higher Secondary School that this episode occurred- an episode that showed me His omniscience and omnifelicity. It was funny to begin with but profound in conclusion. Biryani refers to a set of rice-based foods made with spices, rice (usually basmati) and vegetables. It is also made with meats. 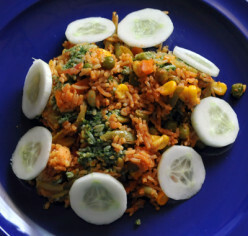 The Tricolor Biryani or Tiranga Biryani is a special recipe developed by my father. It needs patient efforts but the results are richly rewarding. 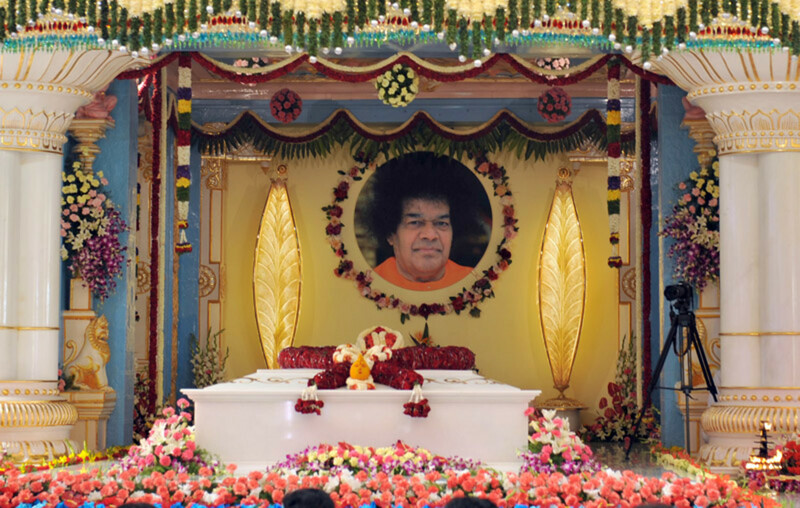 What should be the road ahead for Sathya Sai Devotees after the 24th of April 2011? 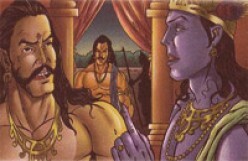 The answer arrives from a short story narrated by Bhagawan Baba and inspiration from the all-time classic, Mahabharatha. 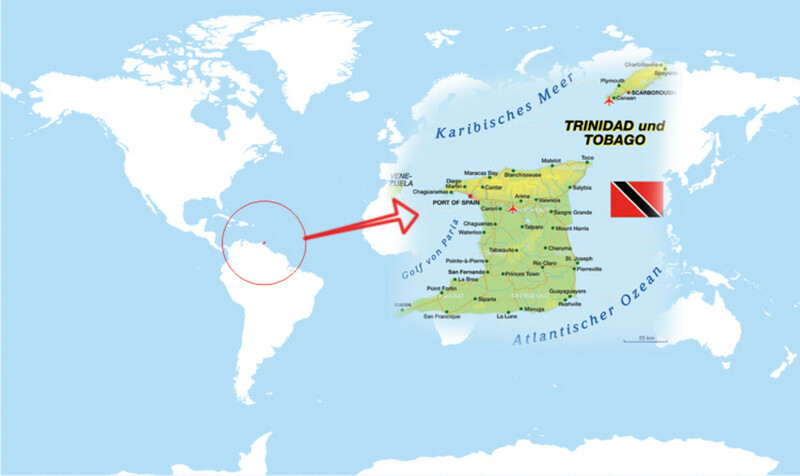 Talk about miracles of Sathya Sai Baba, today I heard of an experience where vibhuti materialized from mid air on an island near the South American country of Guyana. 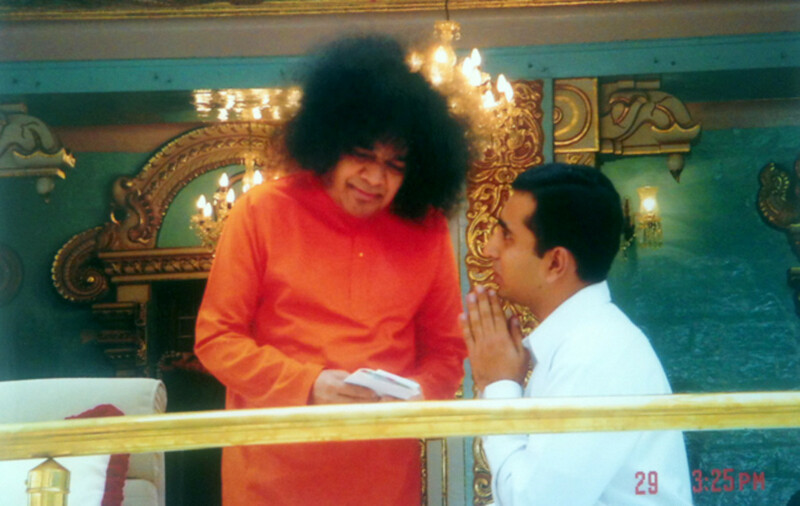 This happened in the presence of Sri Vedanarayan, who chants Vedas regularly at Prasanthi Nilayam. 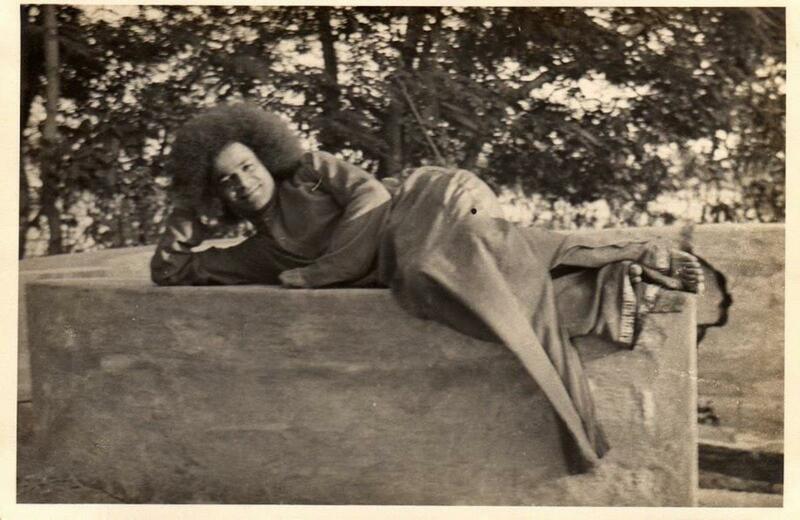 Yet another vibhuti-marvel!There were days when I foolishly believed that Swami blessed us because we were special. Today I realize that is totally wrong. 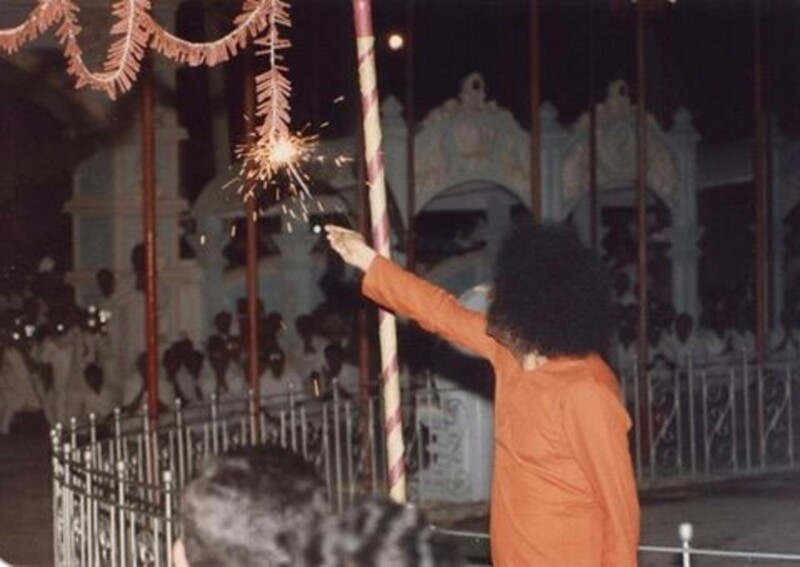 Swami blesses all of us because He is so special. 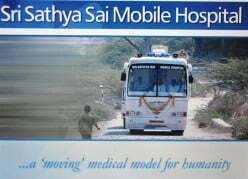 The mobile hospital project initiated by Sri Sathya Sai Baba is in its 8th year of service in 2013. 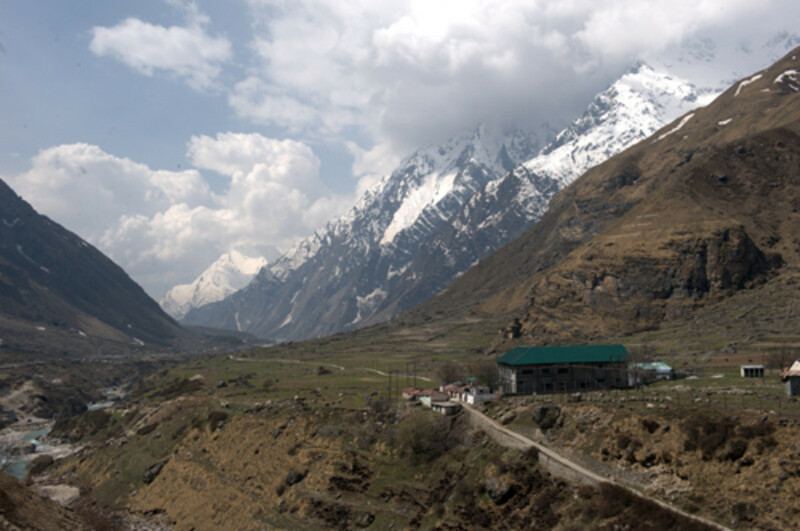 It has touched about 6 lakh lives, providing free and holistic medical treatment to the poorest in villages. “Tell me which mode is best for photography?” “Auto mode, unless you are interested to know something which will improve you as a photographer.” The basics of photography lie in light control. 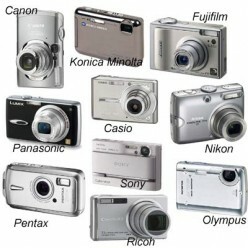 A beginner's guide to buying the best camera? Buying a camera can be a hassle for someone who is not entrenched deep in the subject of photography. 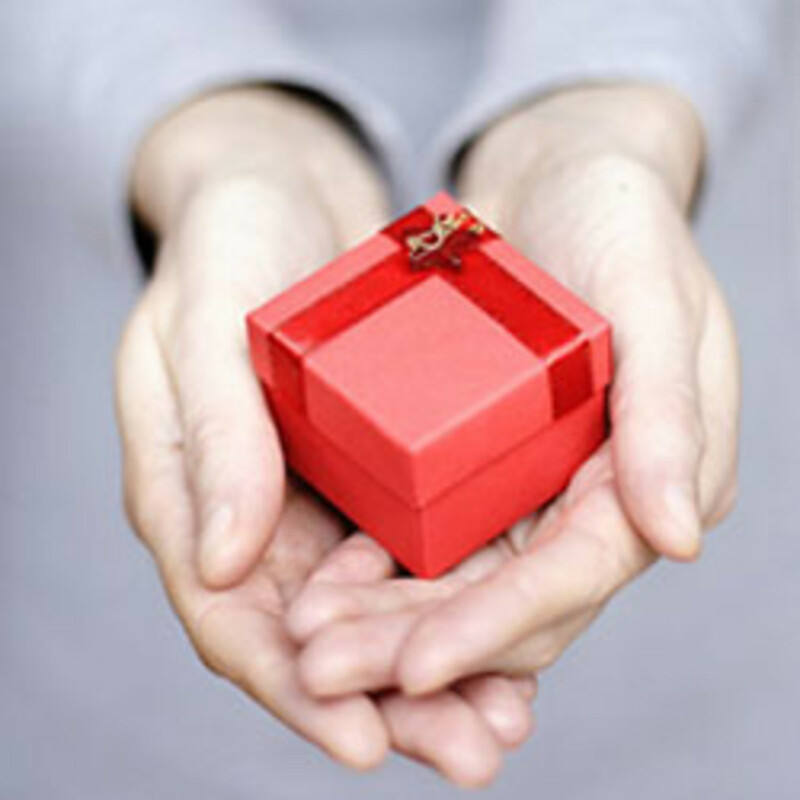 But, a few tips and knowing what features to pay importance to can go a long way in helping you decide. 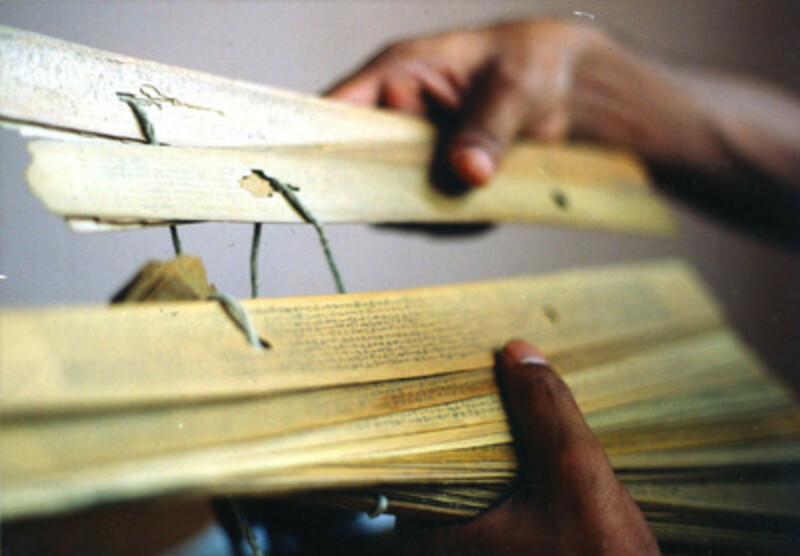 An important facet of the Master is that for Him nothing is trivial or important. What is important for you is for Him too. That is the way He wins hearts. 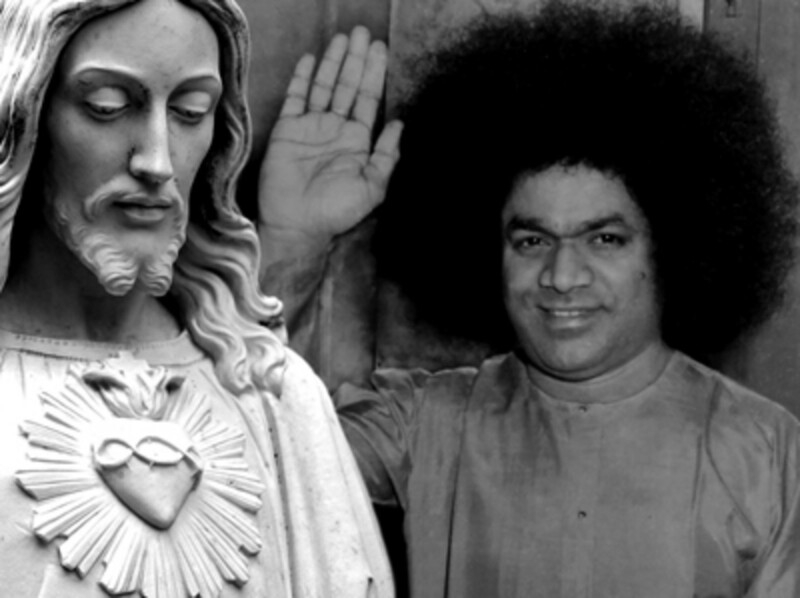 And that is how Sri Sathya Sai won my heart! 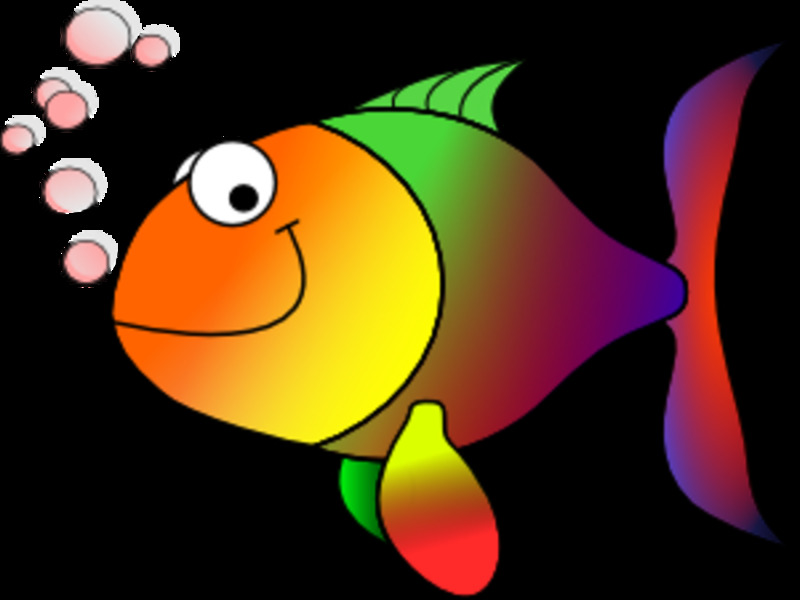 God's workings are so fantastic and phenomenal that they have inspired the famous adage - "Truth is stranger than fiction". Nobody can even conceive an episode in the manner that the Grand Director does. 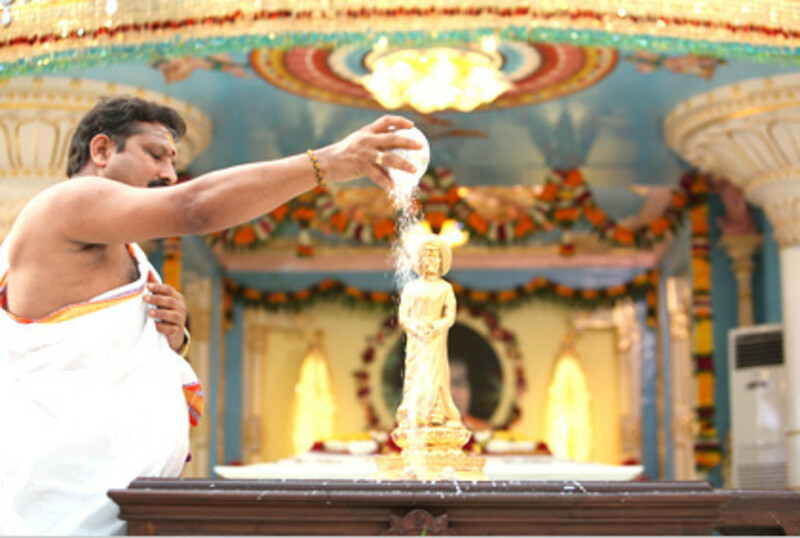 This is a narrative that shows what it means to come to Puttaparthi. 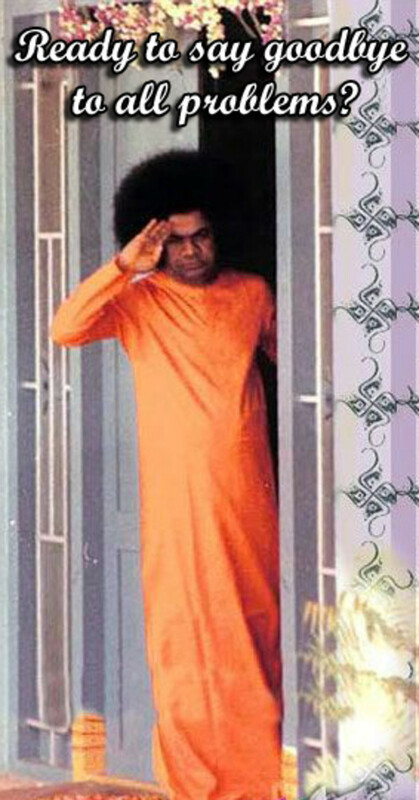 Shouldn't the 24th of April, the day Sri Sathya Sai Baba left the worldly plane, be set aside as a day of mourning? Why then is it celebrated as a festival? 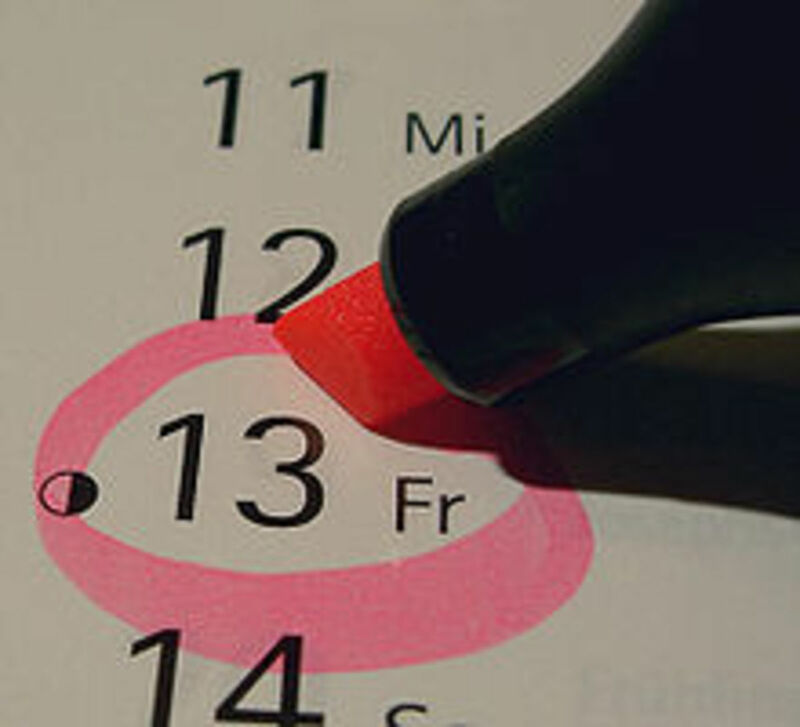 A personal experience taught me the true meaning of the day and how we should celebrate it. 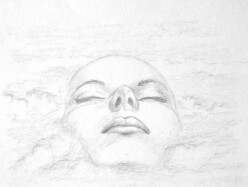 Dreams have always been mystical and symbolic. 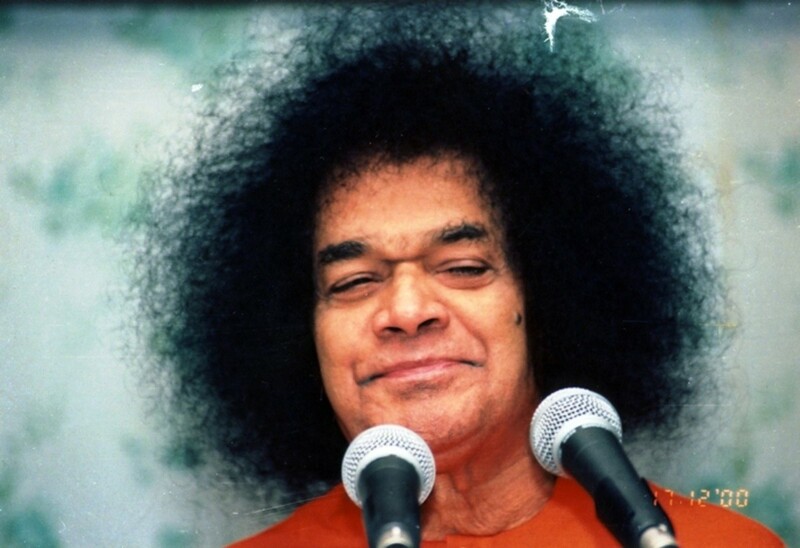 Sathya Sai Baba says that one cannot dream about Him unless He wills it. He uses the medium of dreams to communicate. 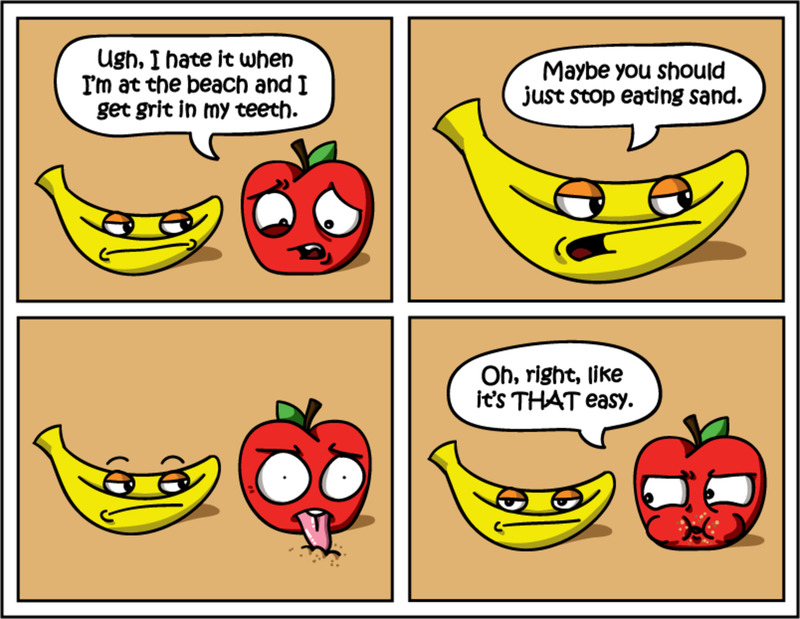 A personal experience during Ugadi. 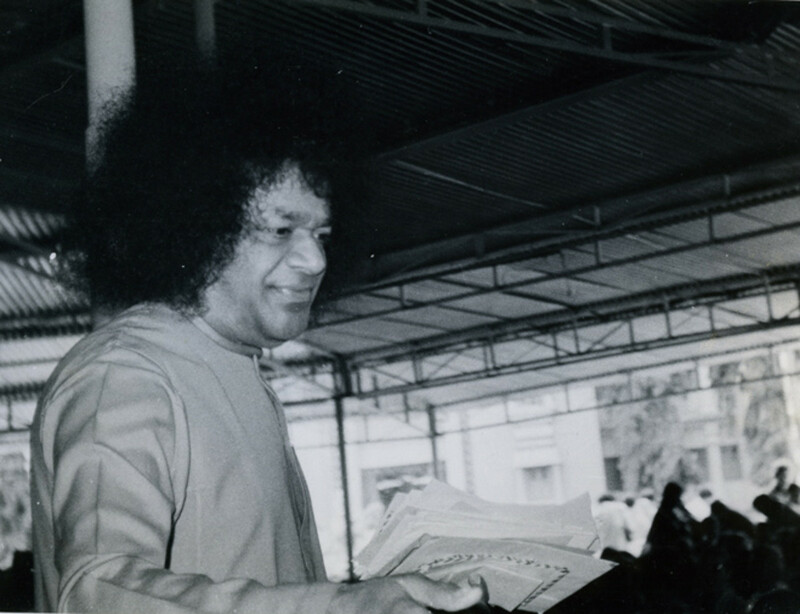 As I turn the pages in the book of my life as a student of Sri Sathya Sai, I arrive at an episode that shows both - how one can win God over and how one should not try doing! 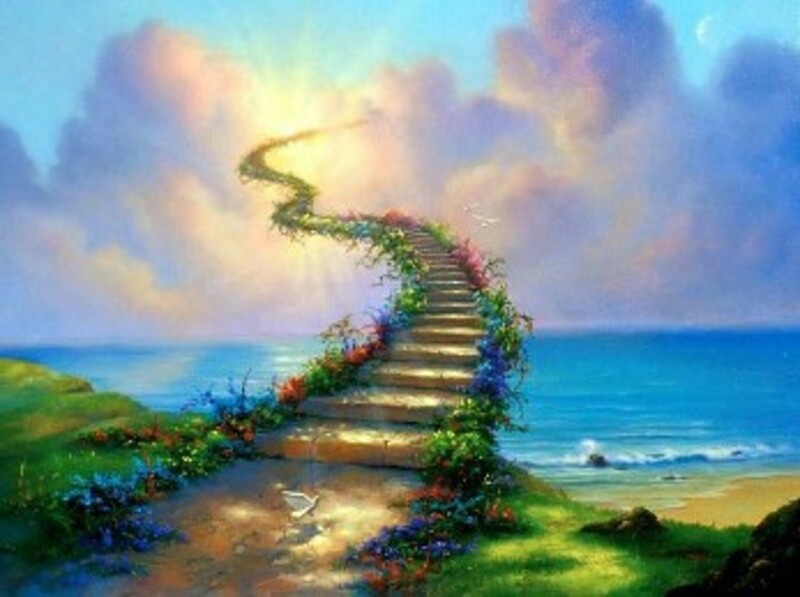 Yes - LOVE is the way..
Dreams have always been mystical and symbolic and a lot has been written and recorded about them. 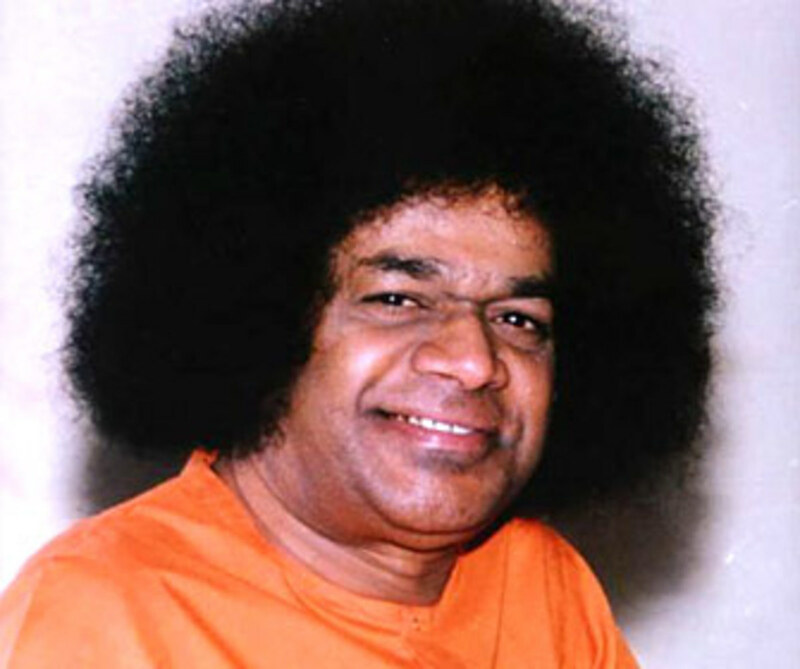 Bhagawan Sri Sathya Sai Baba says that one cannot dream about Him unless He wills it. There is something magical about a child. The child is the closest to God and often represents God on earth...If we believe in the fatherhood of God, we will understand why the child is called the father of man! 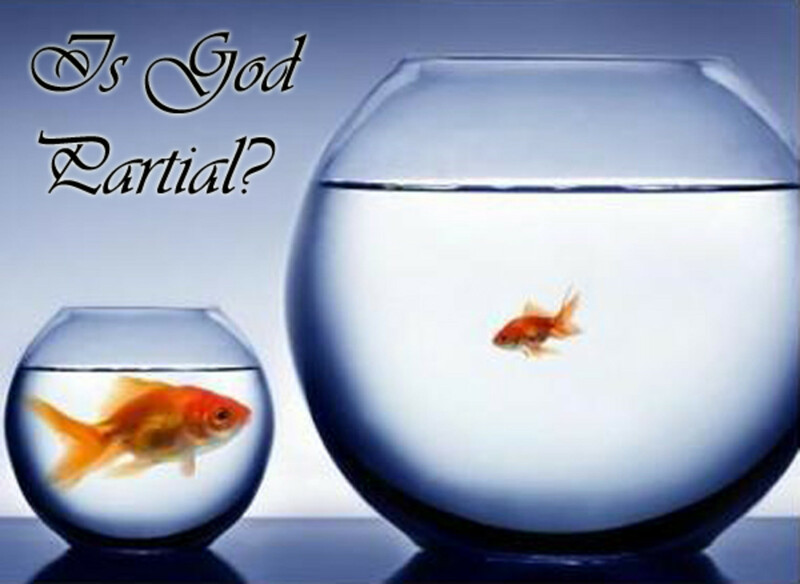 Does God exist? How to seek God? 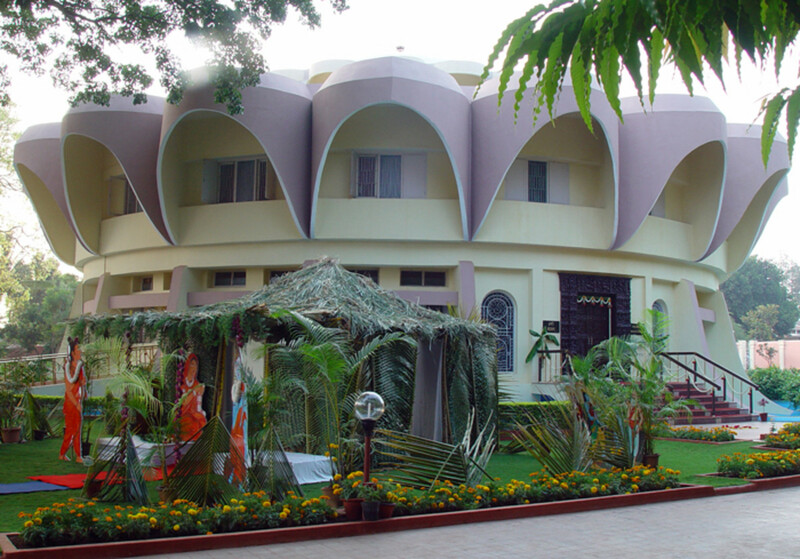 Puttaparthi, the abode of Bhagawan Sri Sathya Sai Baba is a haven for birds and therefore for bird lovers too! 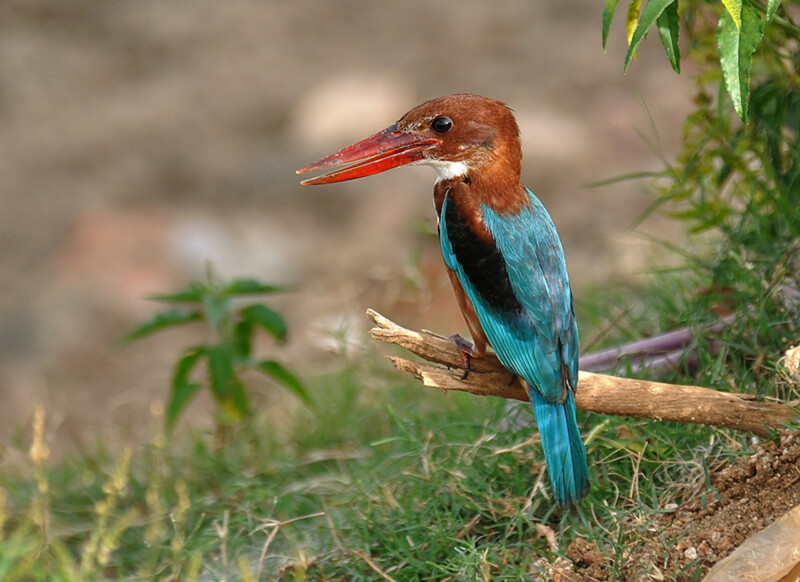 With more than a hundred species of birds being sighted within a few kilometers of the town, the surrounding forests and vegetation present a delicious visual treat. 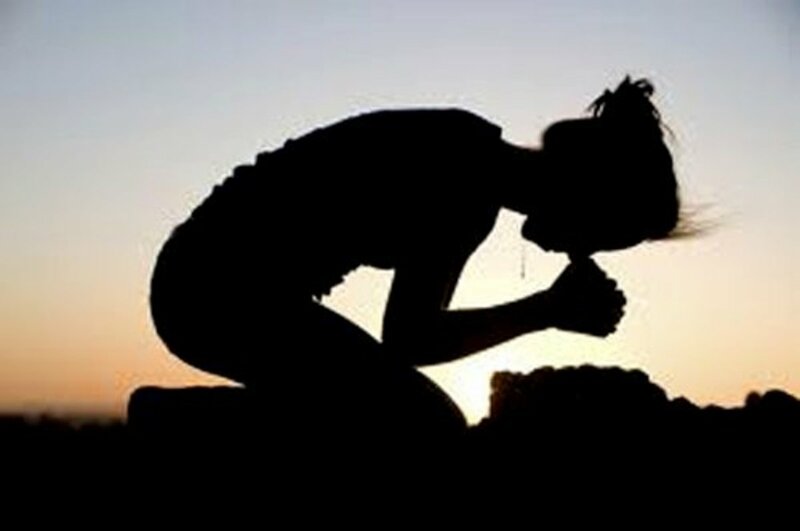 What is the best prayer to make? There is no fixed answer. 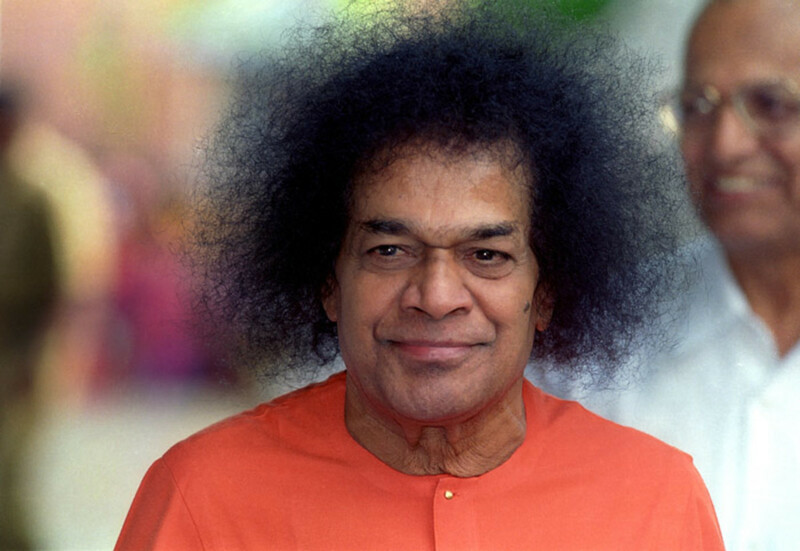 But here are a few points to ponder based on the wonderful teachings of Bhagawan Sri Sathya Sai Baba. Gratitude is very powerful. It is life changing. And it is with an amazing sequence of events because of which that I felt the power and magnificence of gratitude. 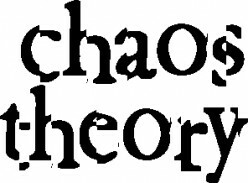 Delving further into the implications of the Chaos theory has some amazing insights. 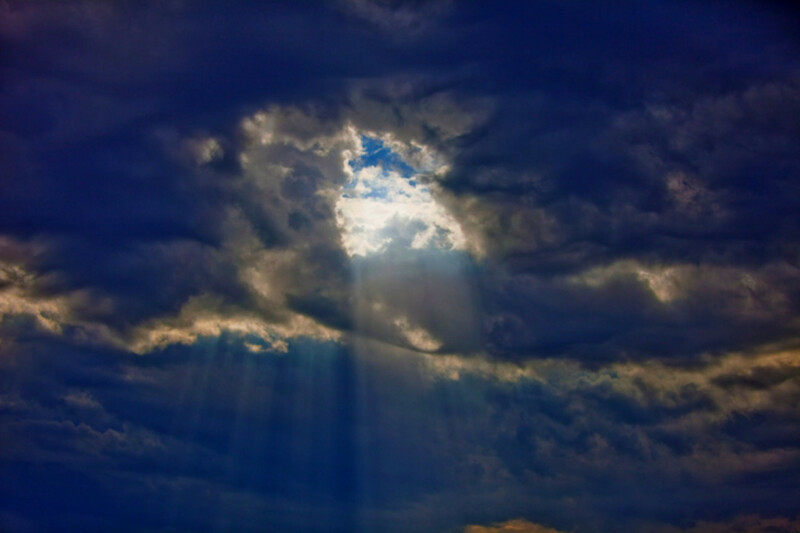 It made me fall on my knees in gratitude for it made me realize the existence of God! 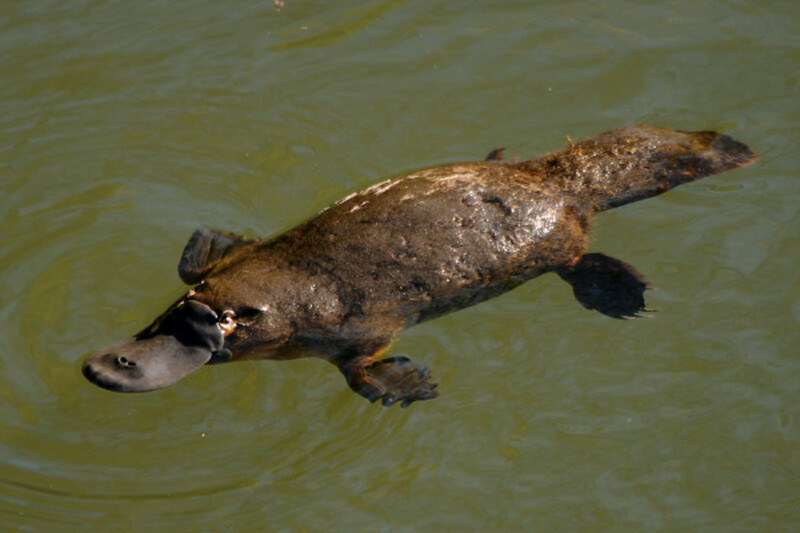 There are raging debates on whether we evolved or whether there was an intelligent design. 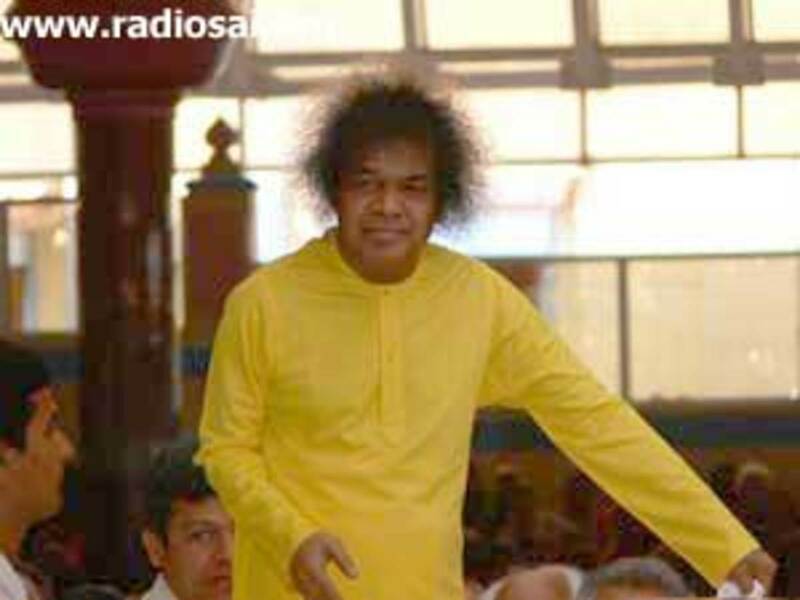 Sri Sathya Sai Baba, our beloved Swami, gave an insight which combined the two and blew our minds away! 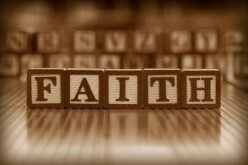 Cancer Cancelled - Radical cure through faith therapy! Cancer cure is a hot topic.........Scientific advances are being made and millions of dollars are spent on Cancer research. 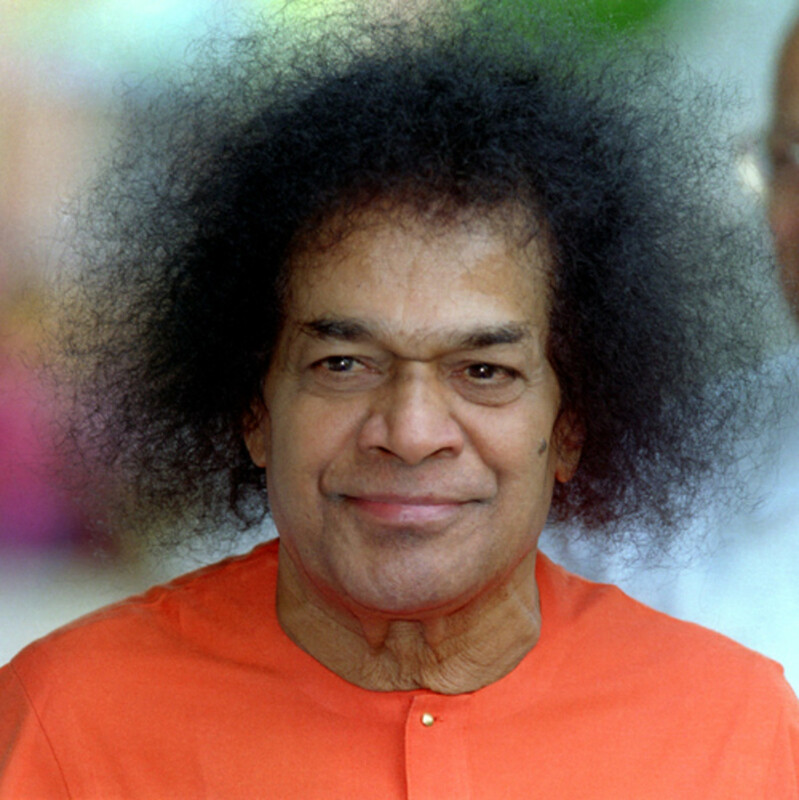 Faith, as Sathya Sai Baba has shown, works miracles. 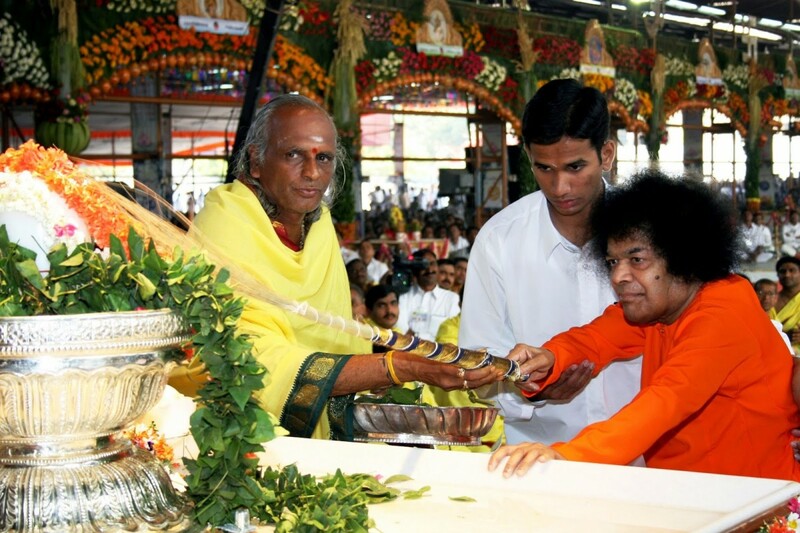 Sathya Sai Speaks - But who listens? 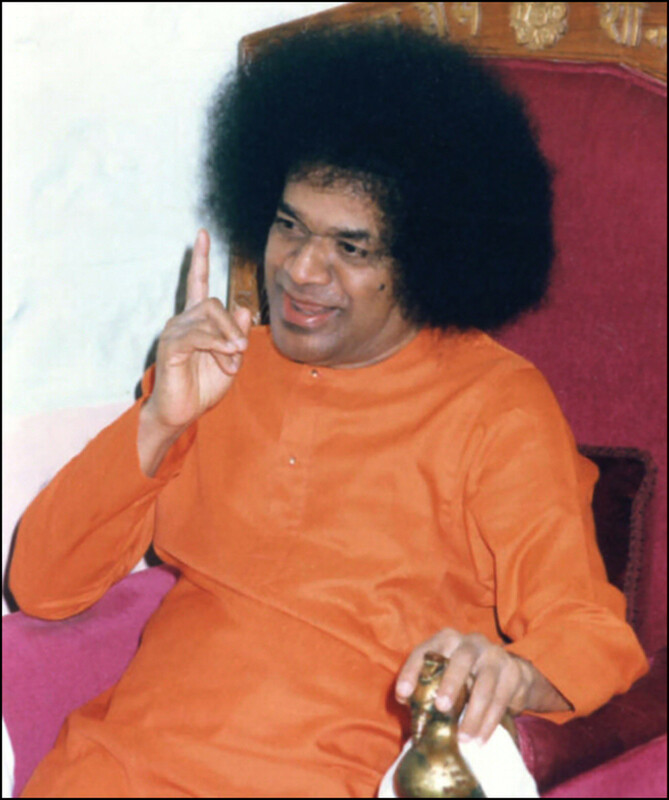 Bhagawan Sri Sathya Sai Baba speaks on such varied topics in His discourses. 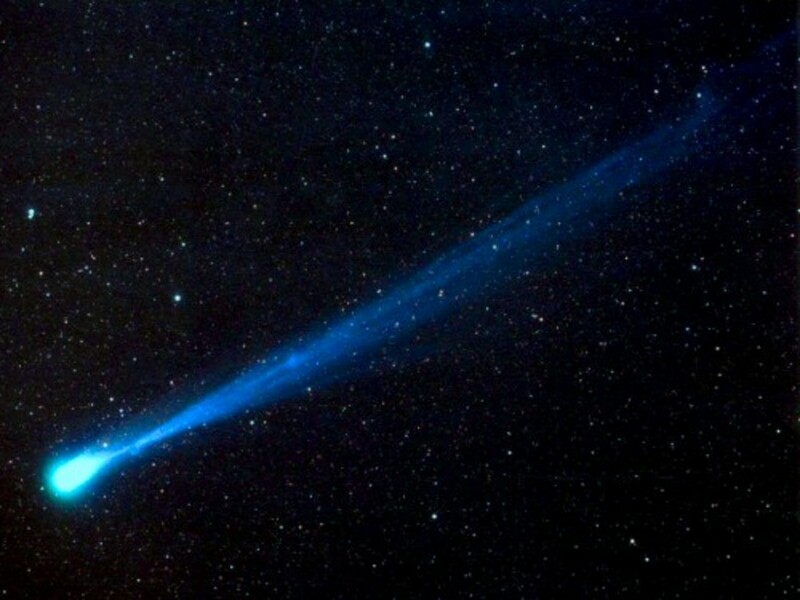 How do we know what to follow when there are apparent contradictions? Which message is for me and which is for the other? Decision making is vital. But one often faces multiple choices for every decision to be made. 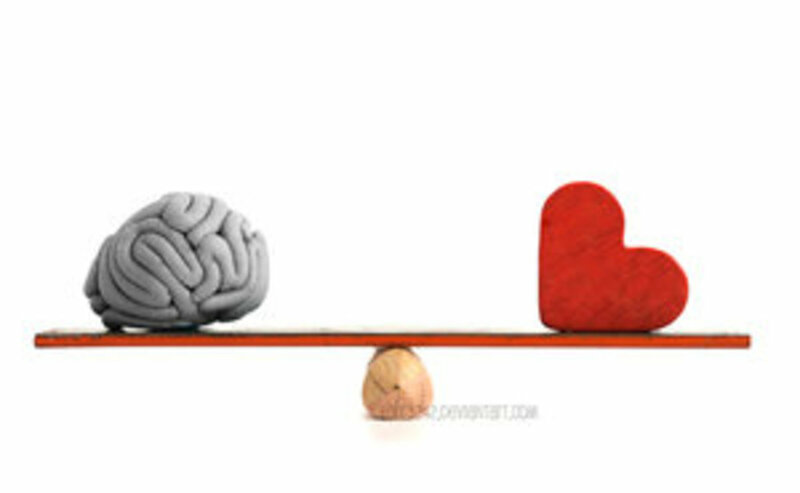 There are two advocates for the way decisions have to be made - the mind and the heart. 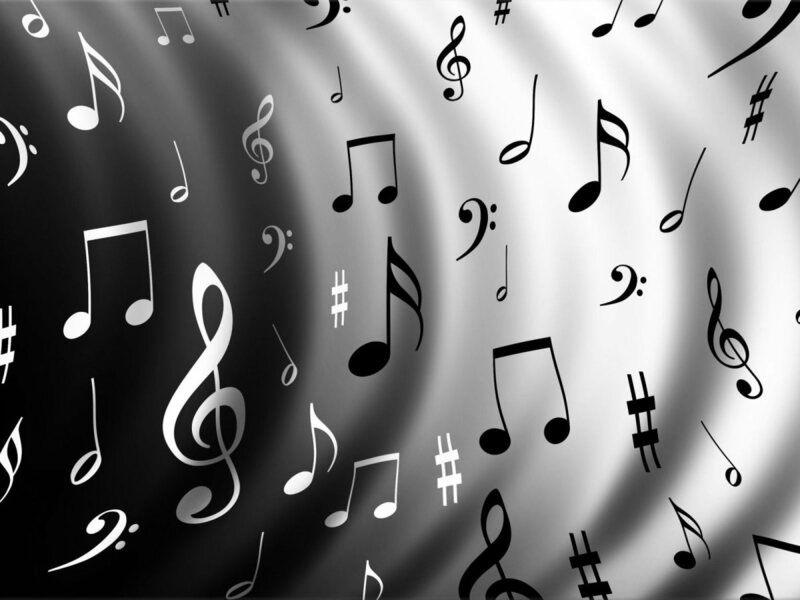 How does one distinguish between the voice of the mind and the voice of the heart? 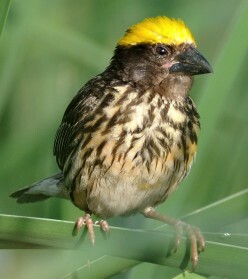 The characteristics and habits of the Baya Weaver bird is simply a delight to watch and observe. 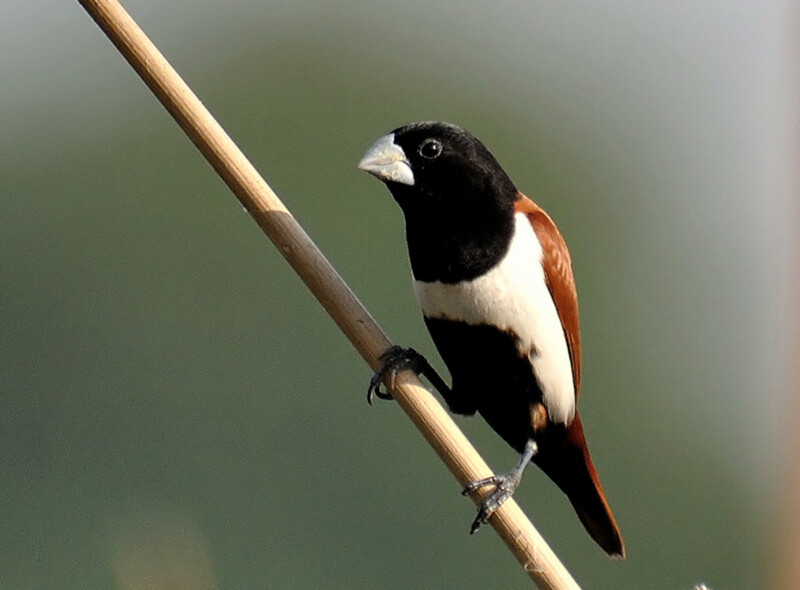 The bird builds nests like no other bird and with a little care and effort, one can get the opportunity to study this beautiful bird. 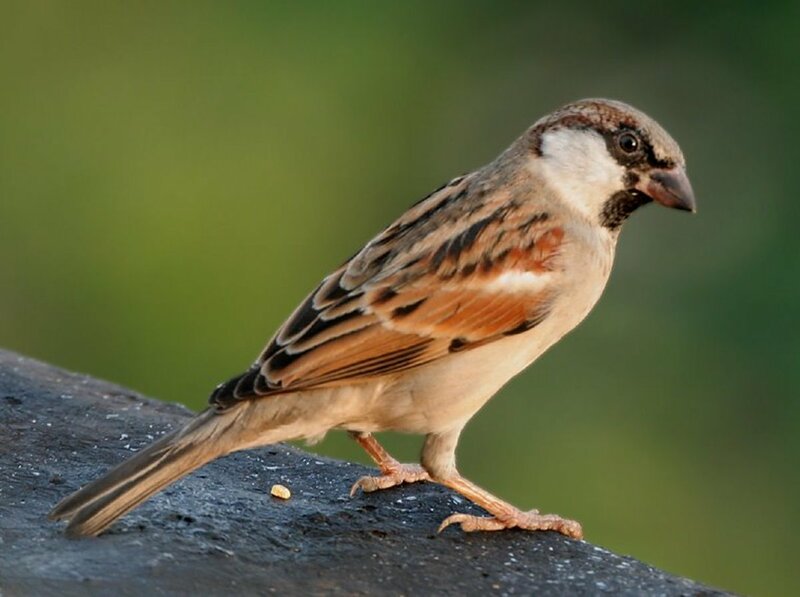 Read on about my discovery and brief study of this winged friend. 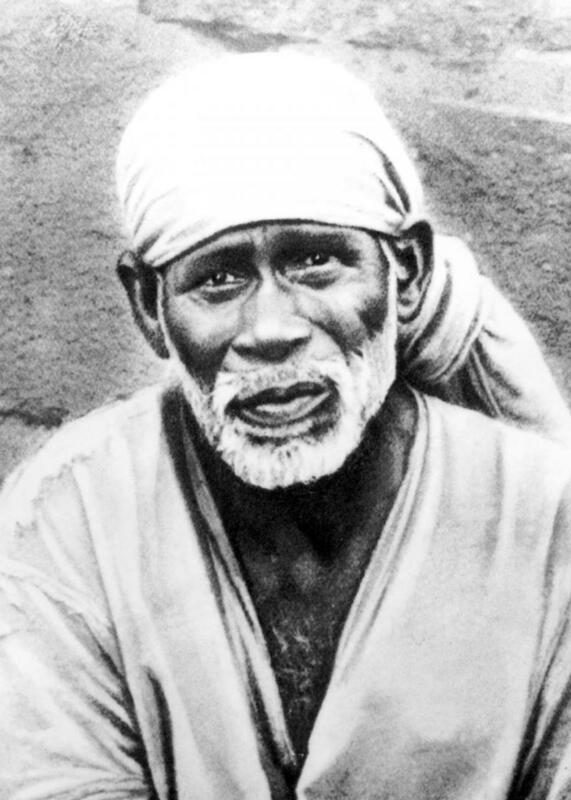 Some poignant portions of the classic movie - Shirdi Ke Sai Baba. These are eternal episodes and they live on forever...... 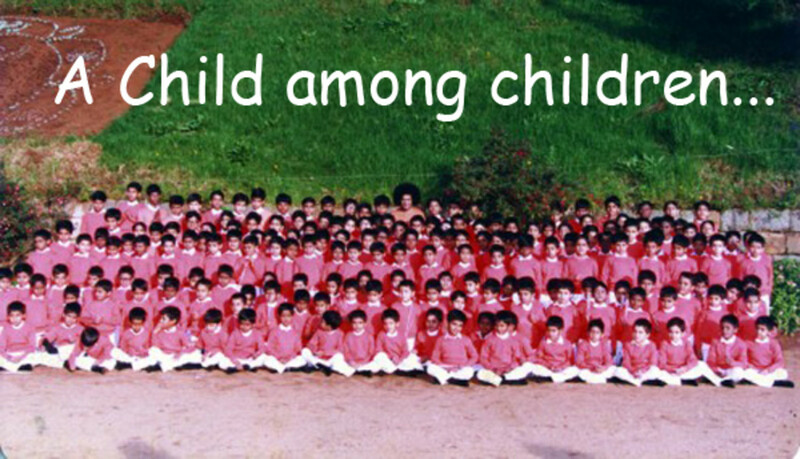 They also remind me of my beloved Swami - Sathya Sai. Whether God succeeds or fails is a relevant question only as long as we entertain it......... 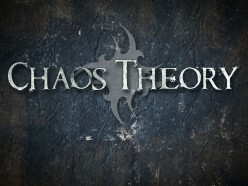 But for those who entertain it also, the answer is emphatic.... 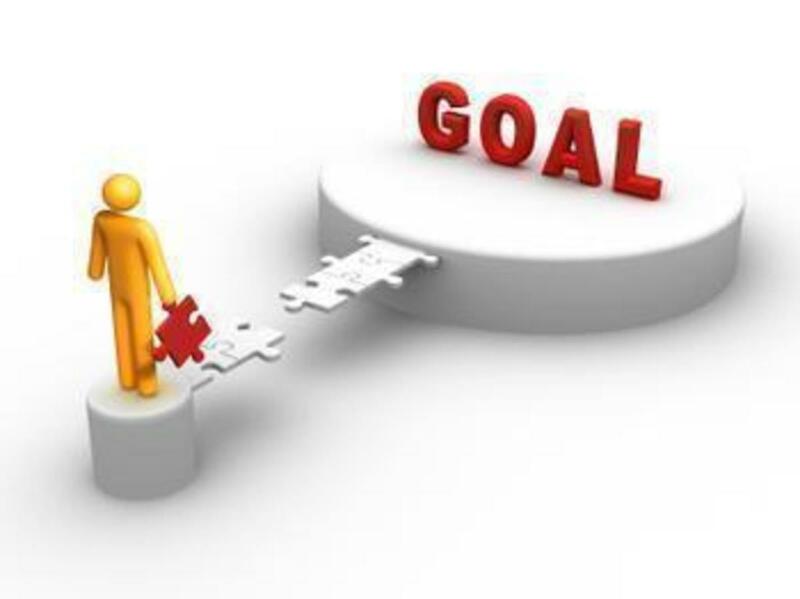 This is a sketch of my personal conviction! 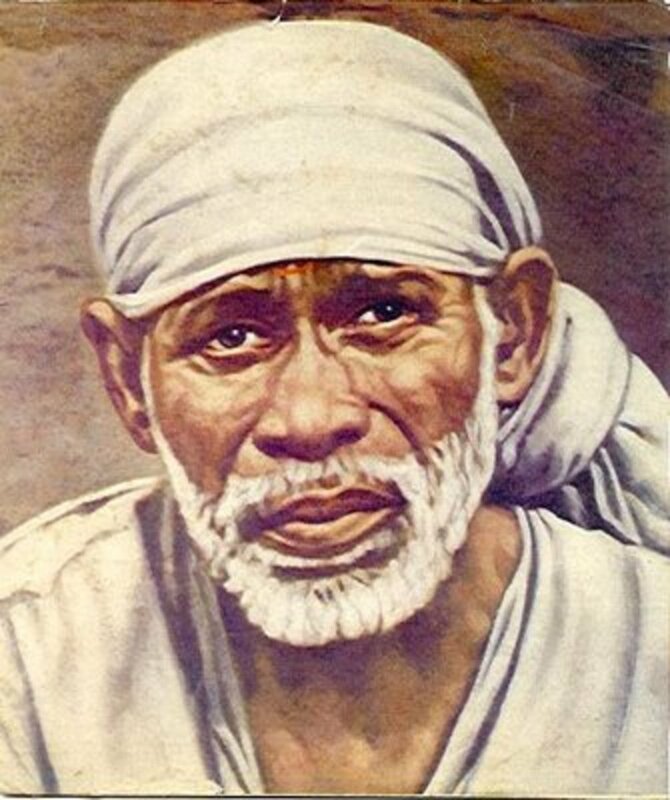 A wonderful episode from the life of Sai Baba of Shirdi which shows that the ultimate surrender is that in which even the desire for liberation is sublimated in order to listen to the Guru. Diamonds are Forever ...... But why? 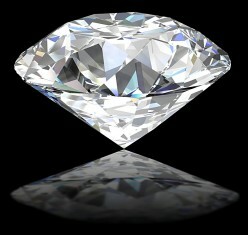 The diamond is often quoted as an example for tough situations bringing the best out of us. 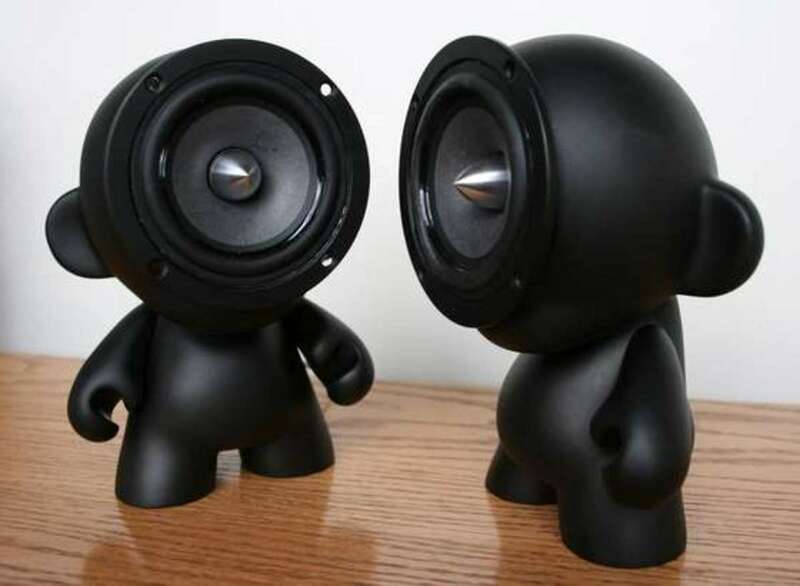 But even graphite which is 100% carbon like a diamond undergoes tough situations. There is a property that makes the diamond the perfect choice as an exemplar - total internal reflection. 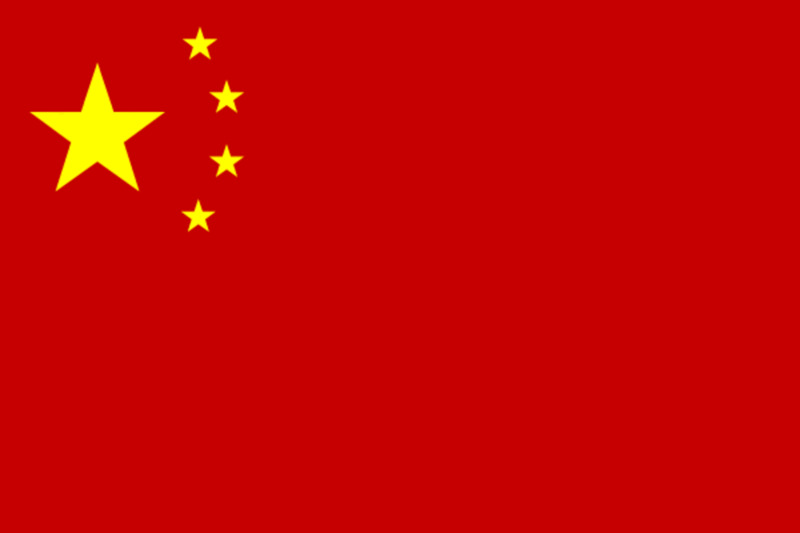 Corruption seems to be a problem with absolutely no solution. But well, it is drops that make an ocean. 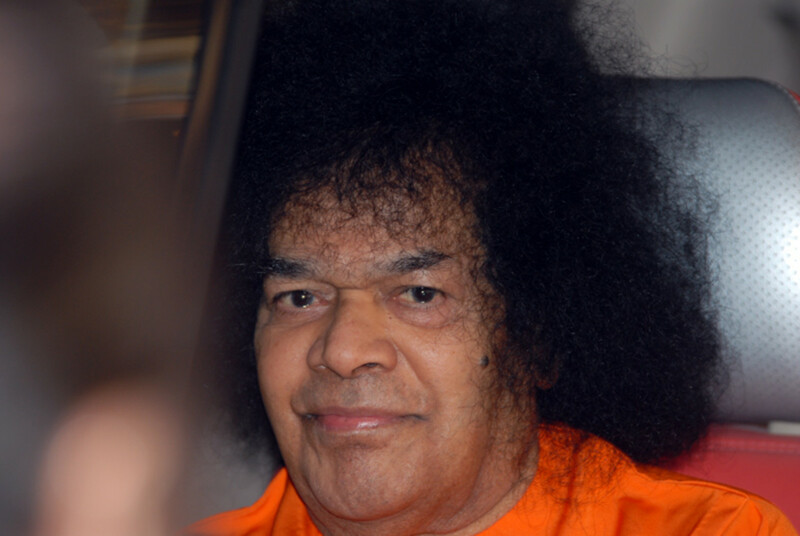 A simple philosophy and one's adherence to one's Dharma is the way as Sri Sathya Sai puts it.